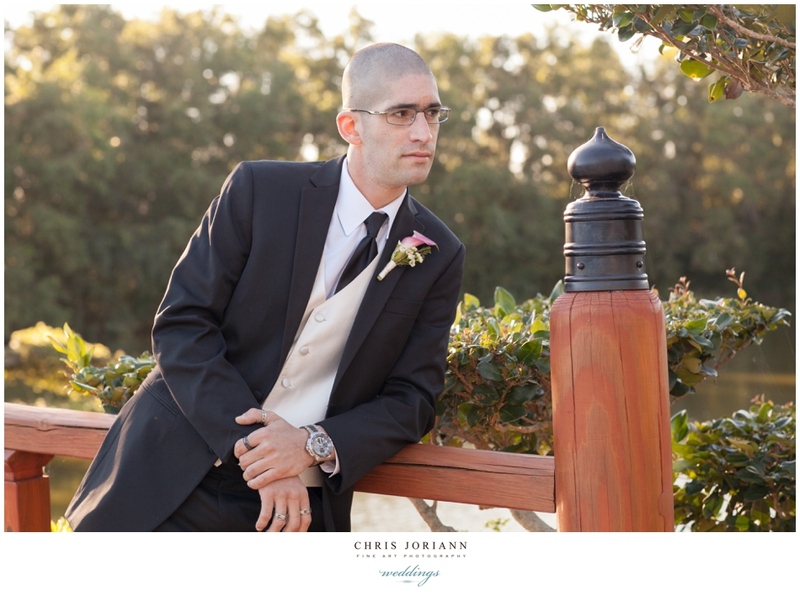 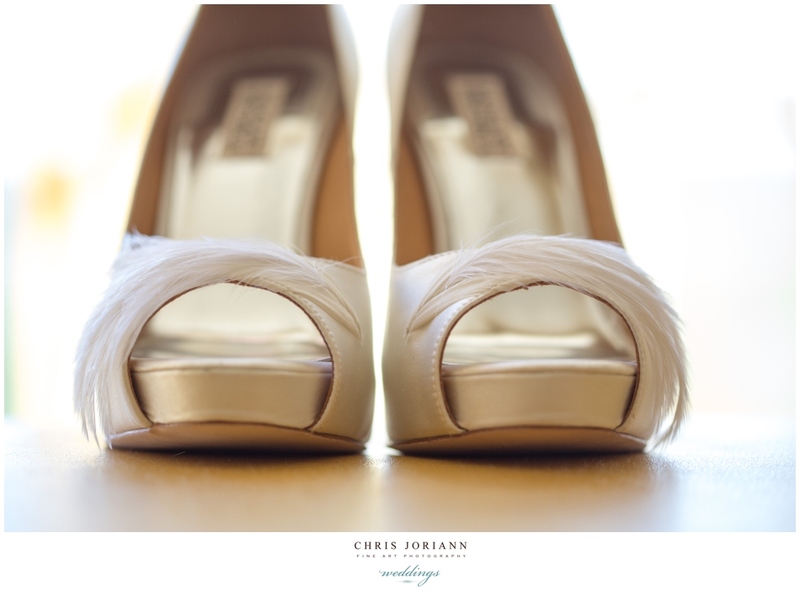 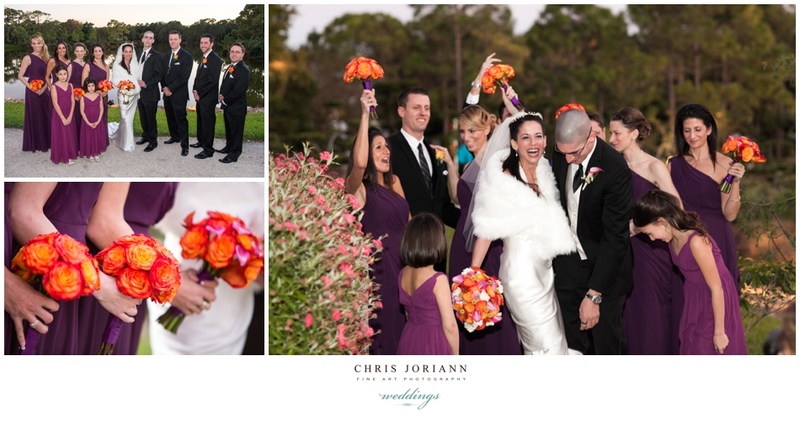 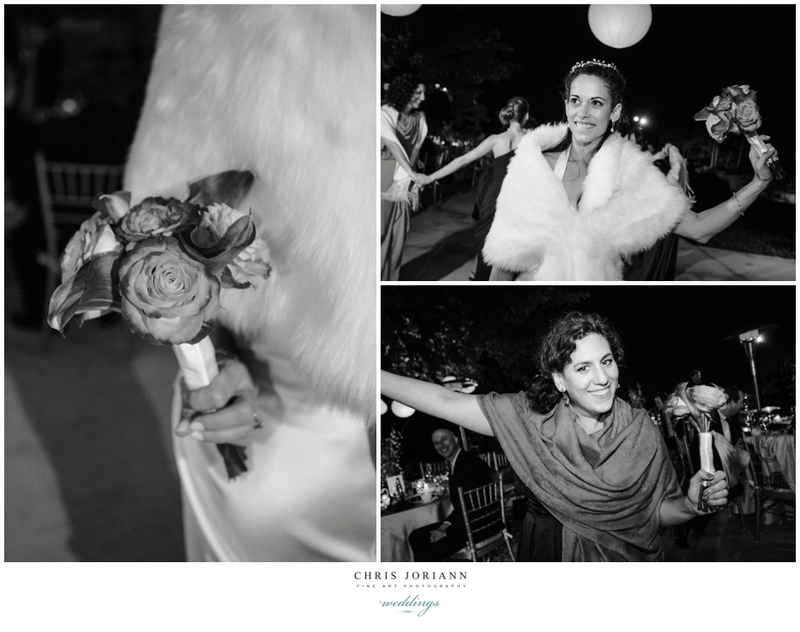 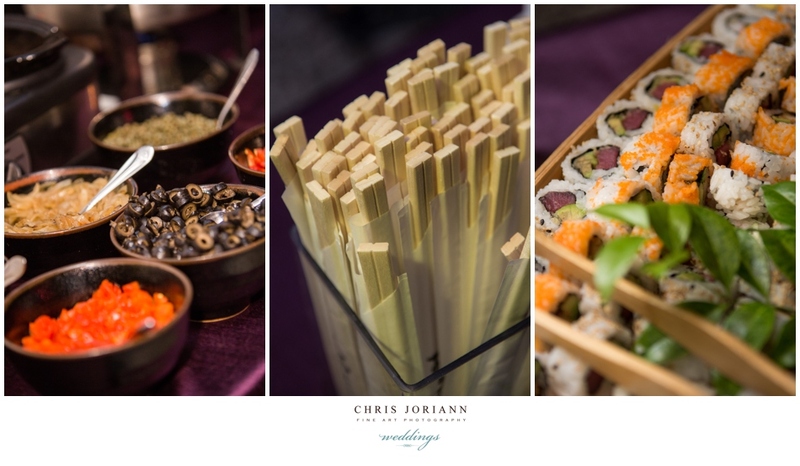 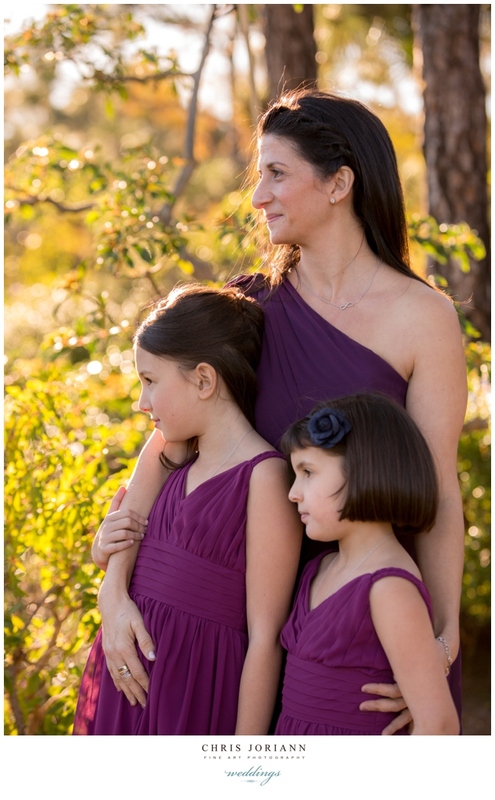 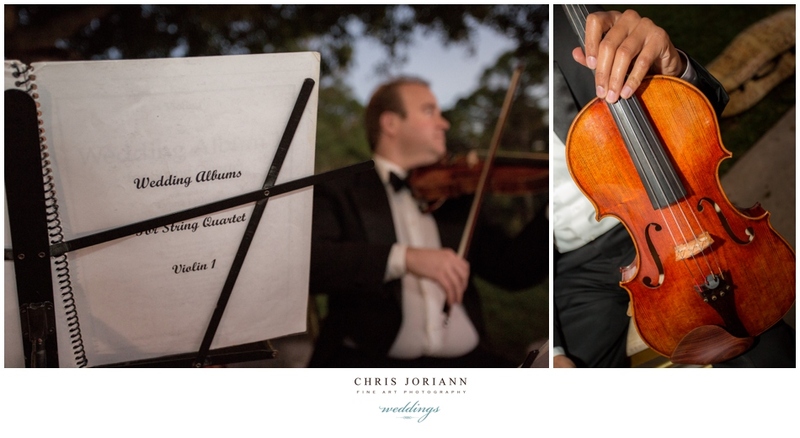 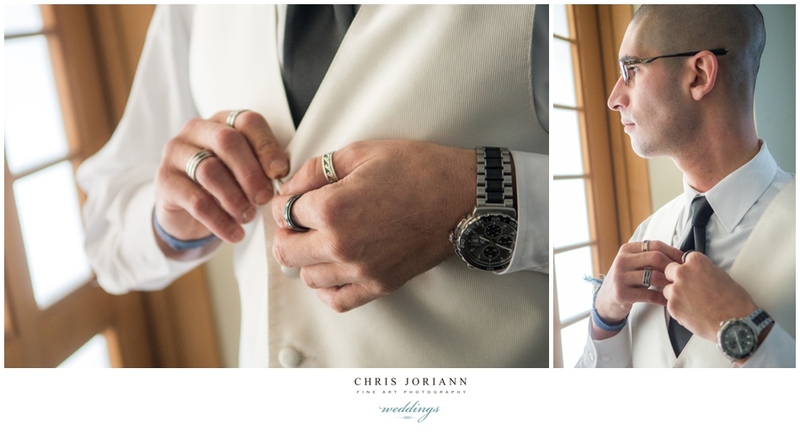 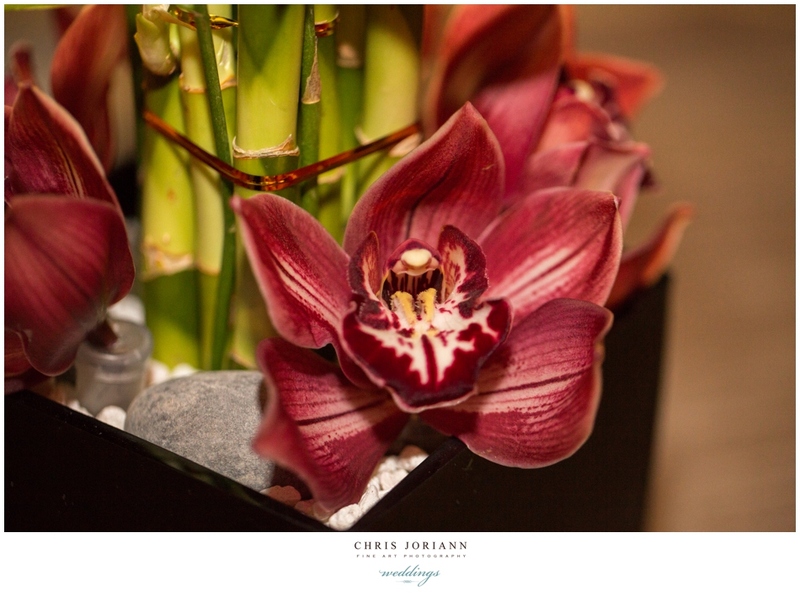 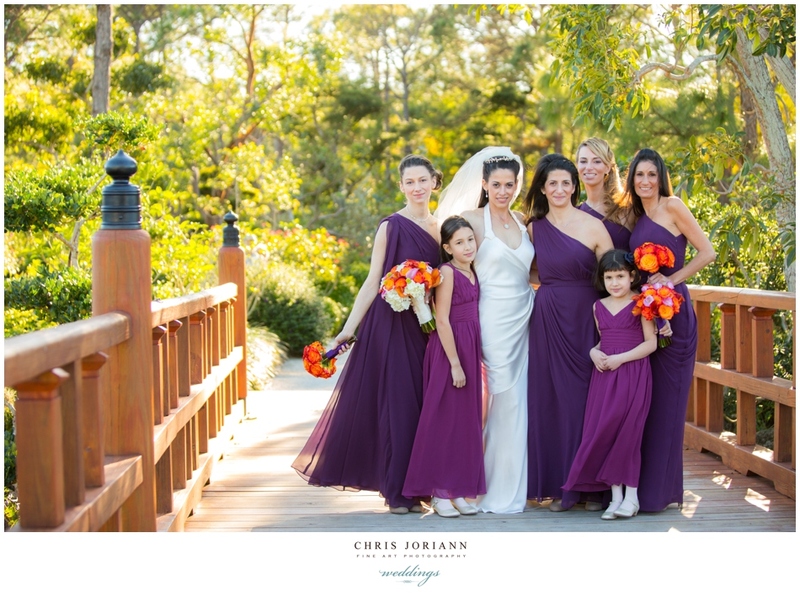 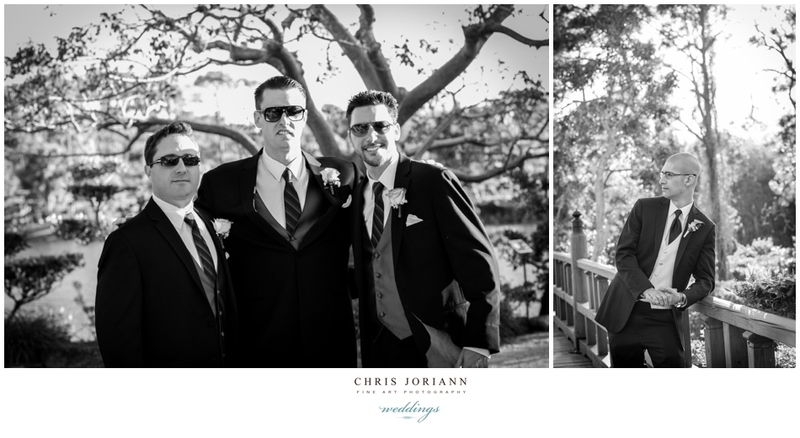 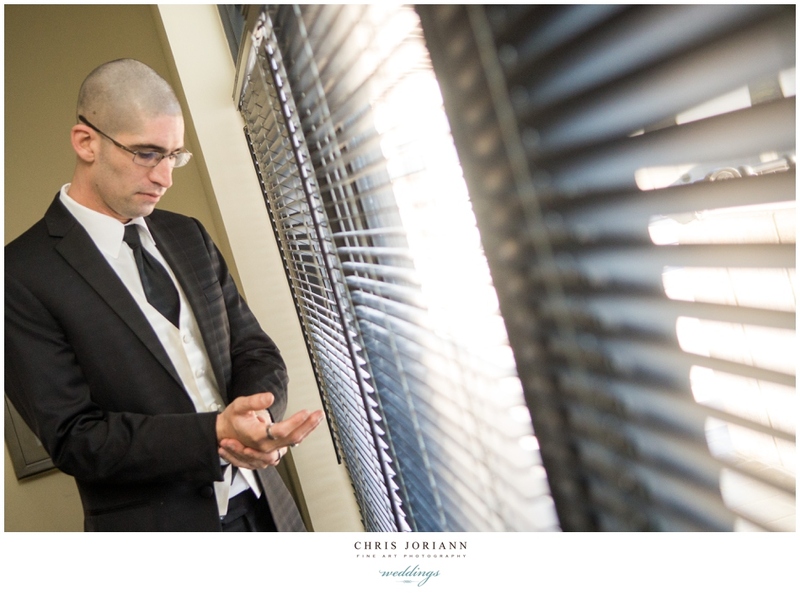 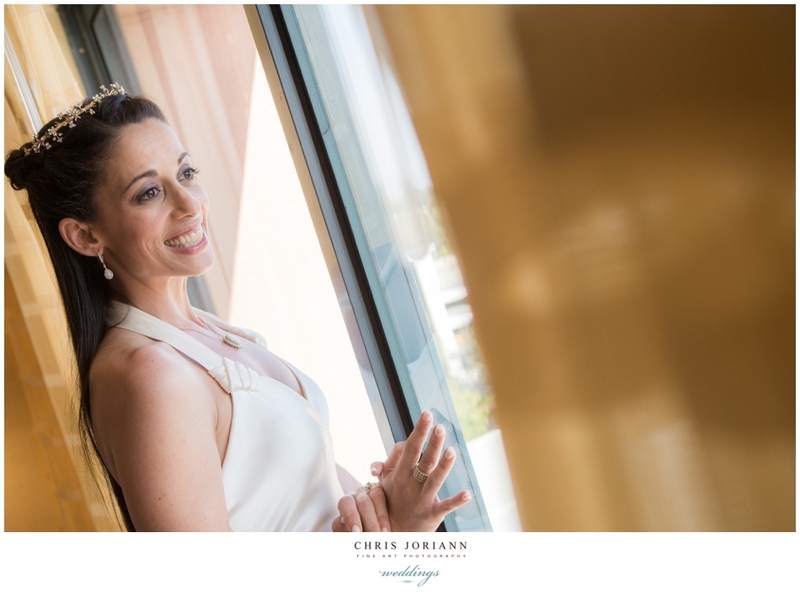 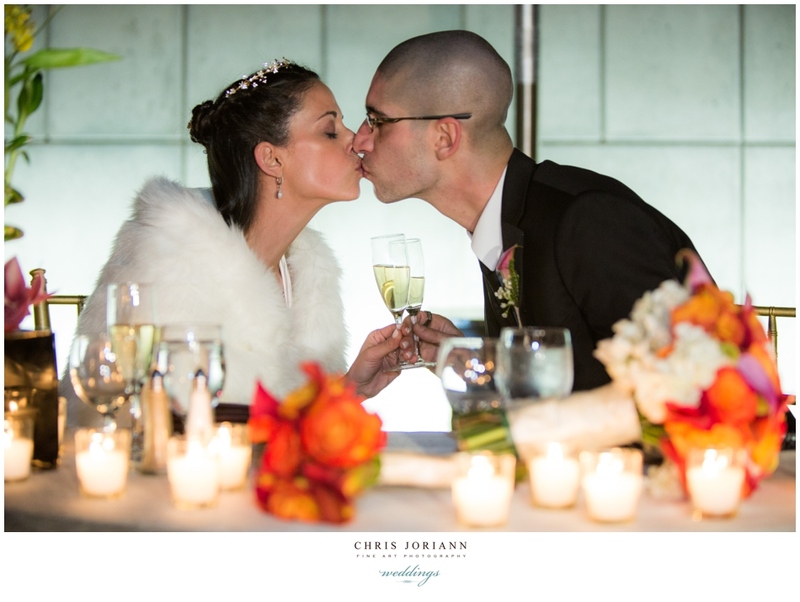 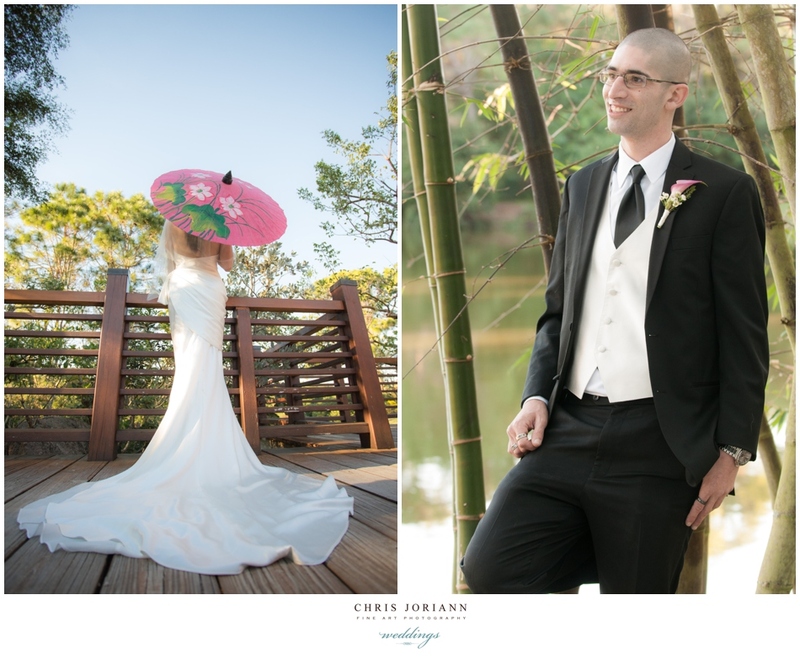 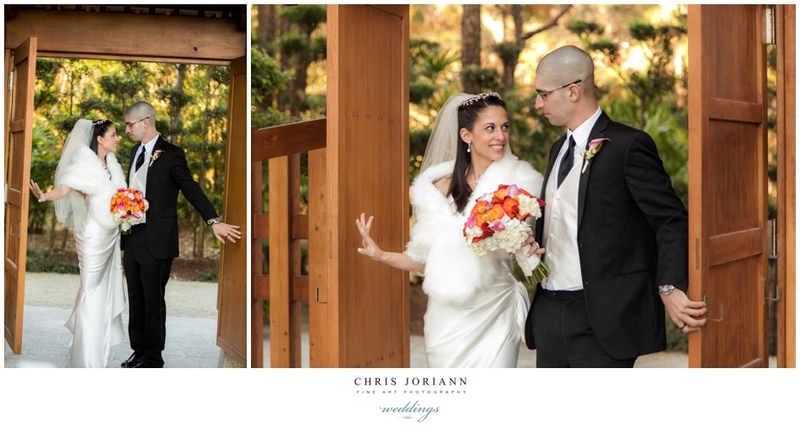 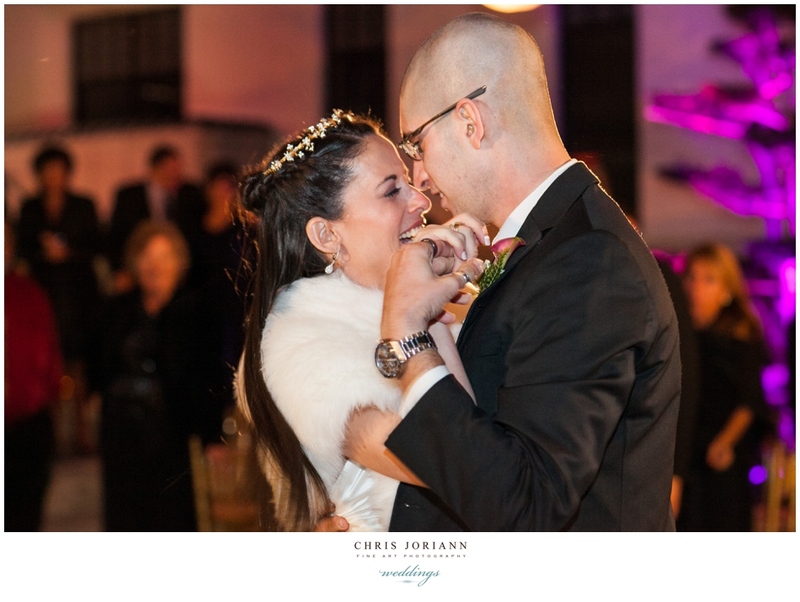 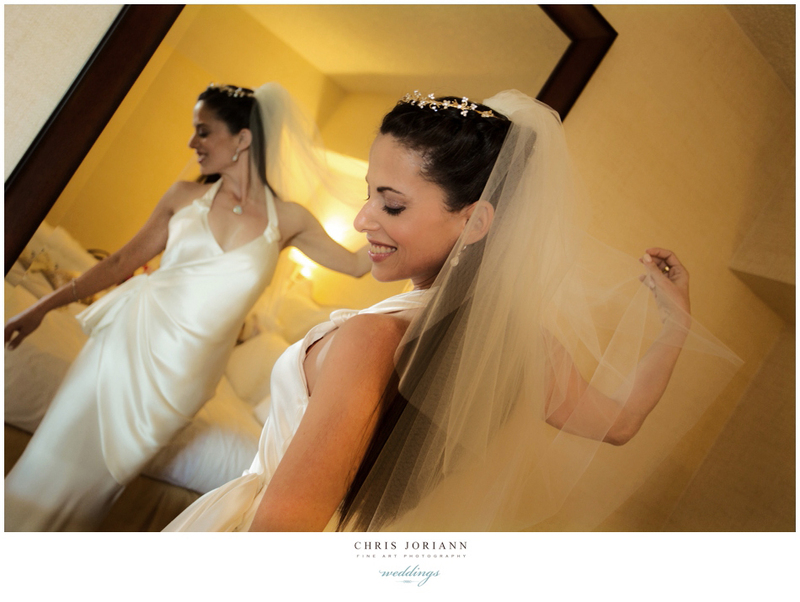 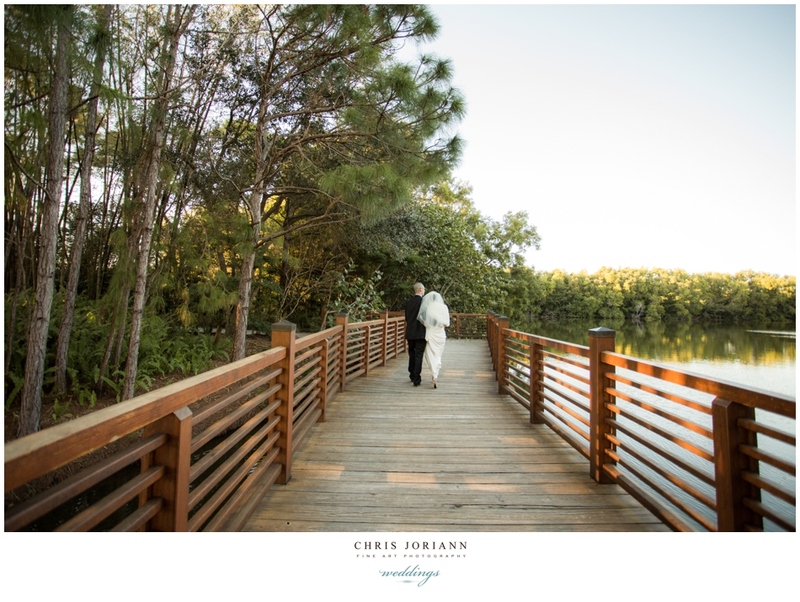 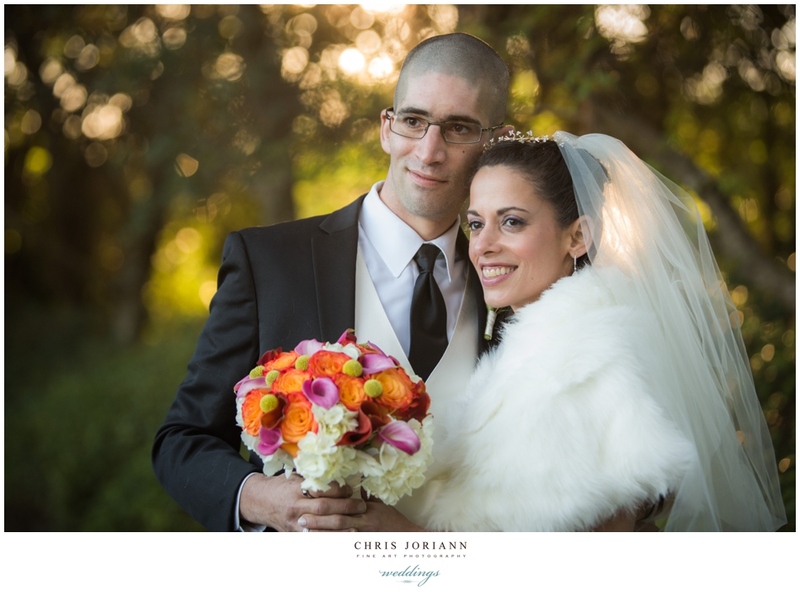 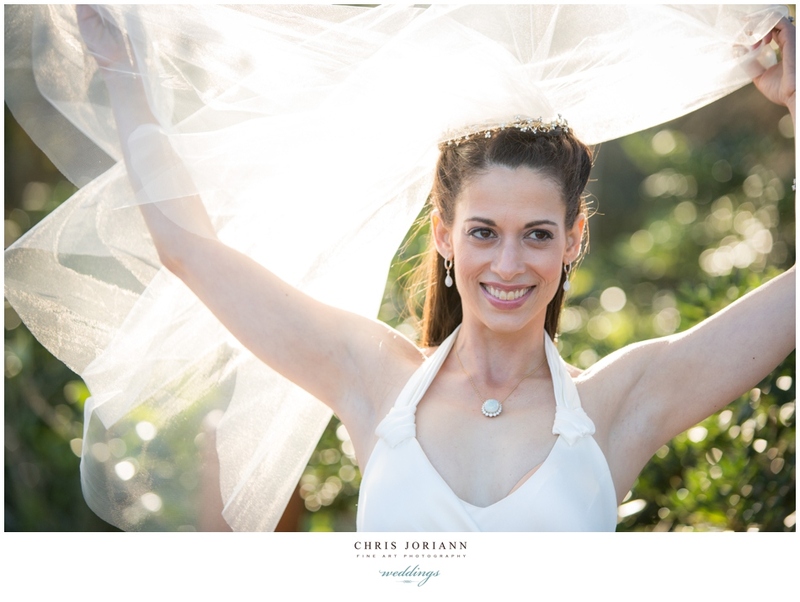 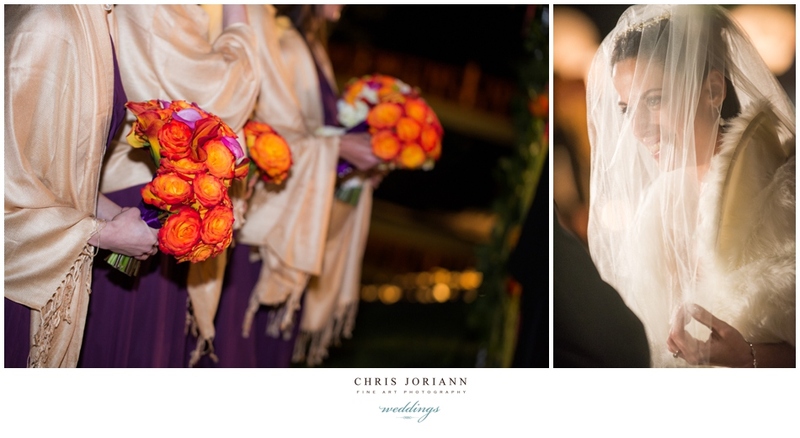 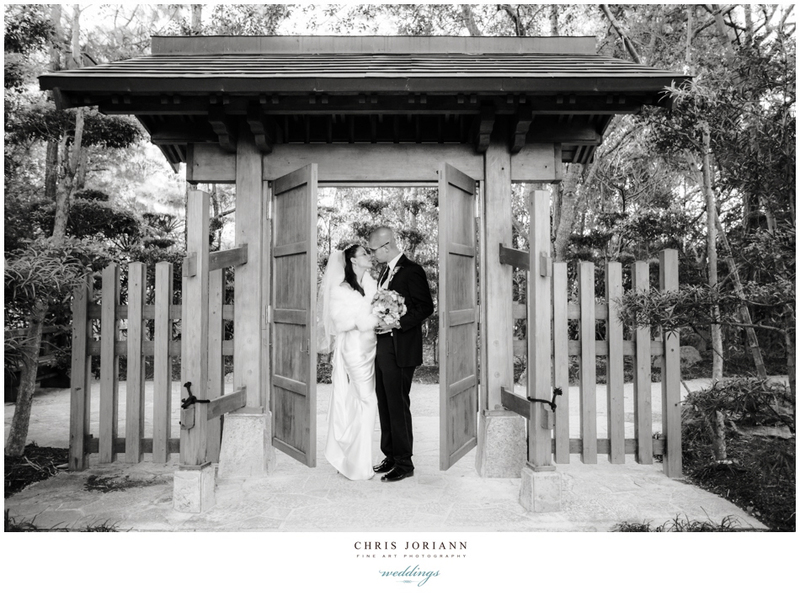 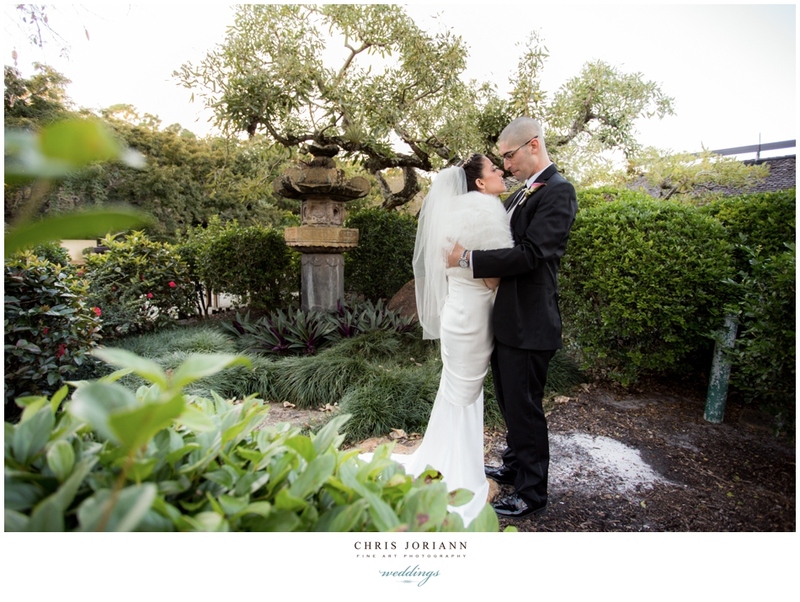 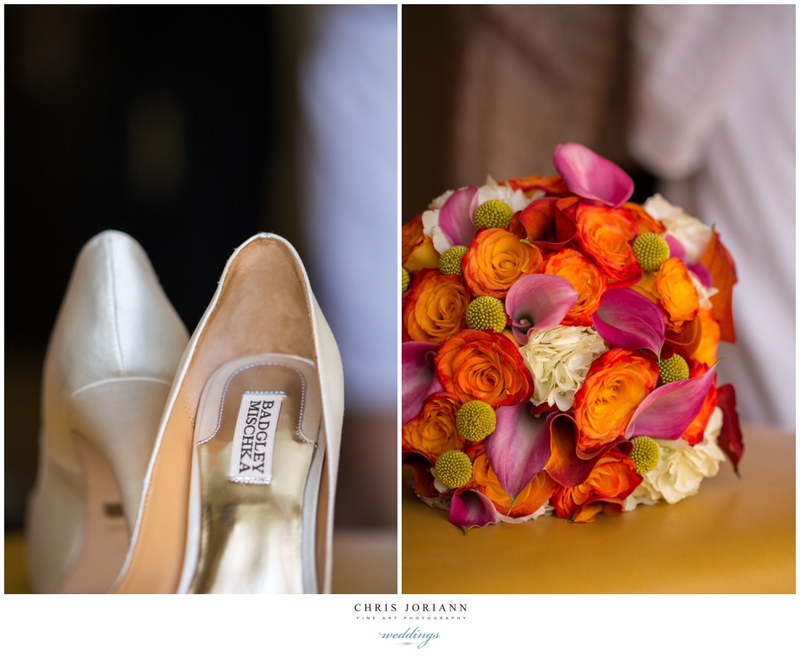 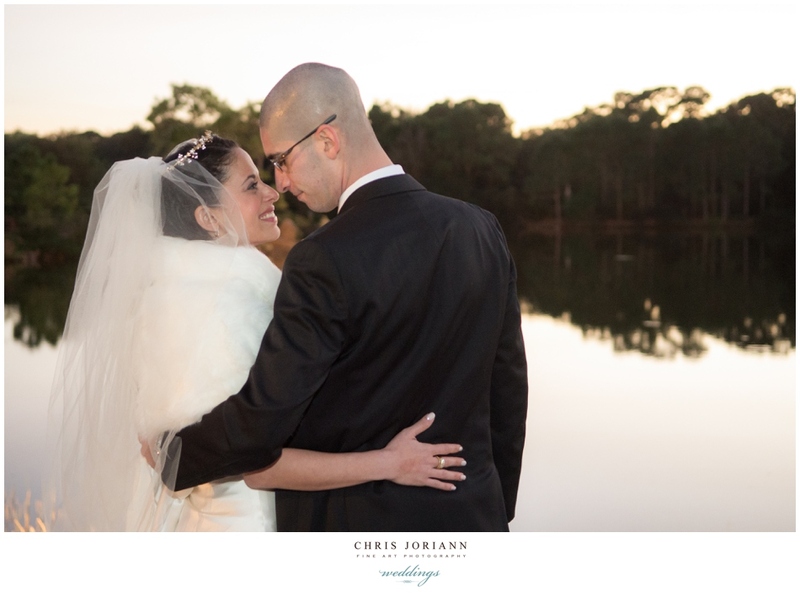 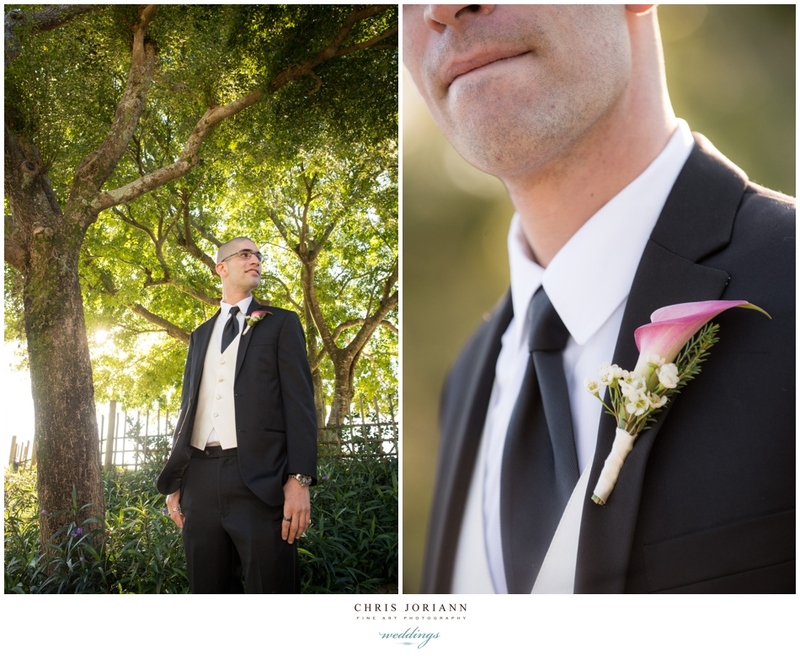 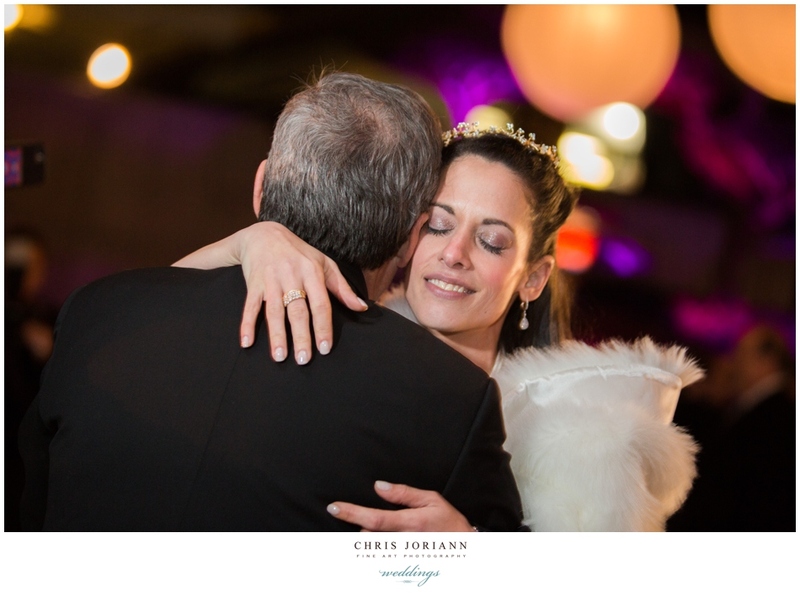 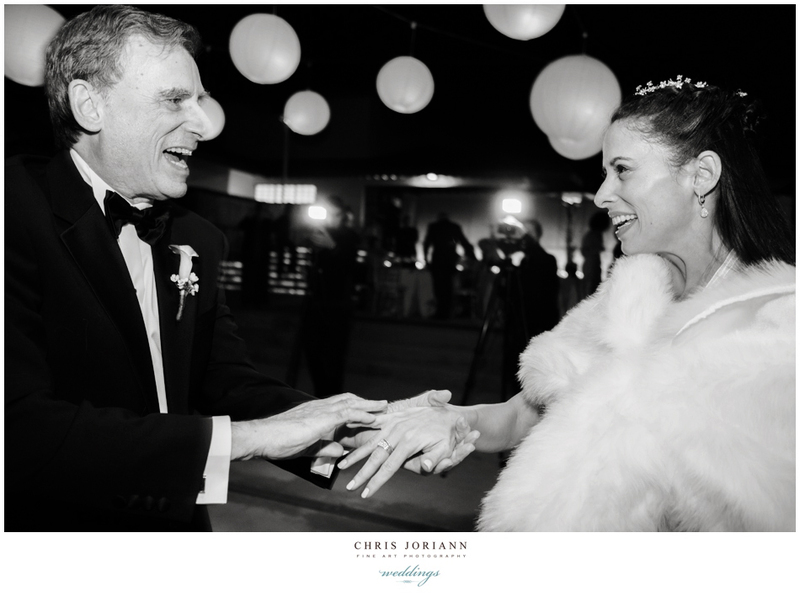 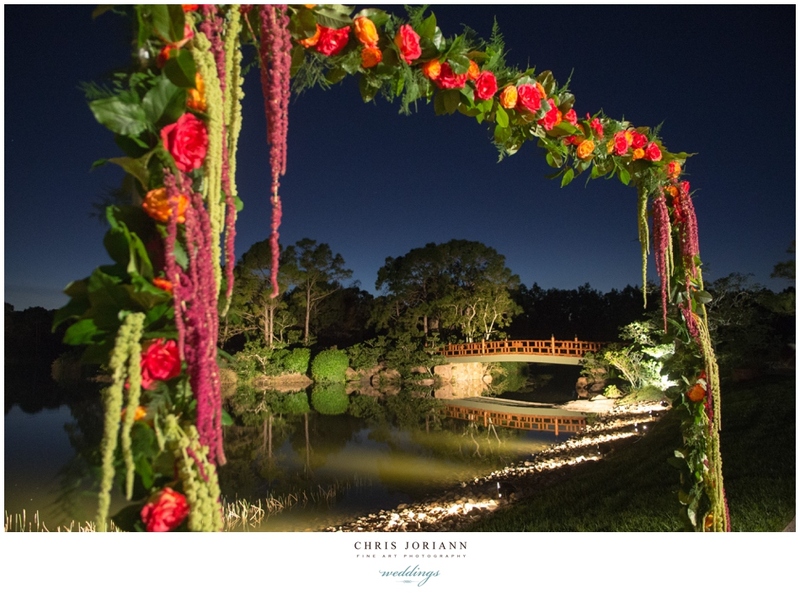 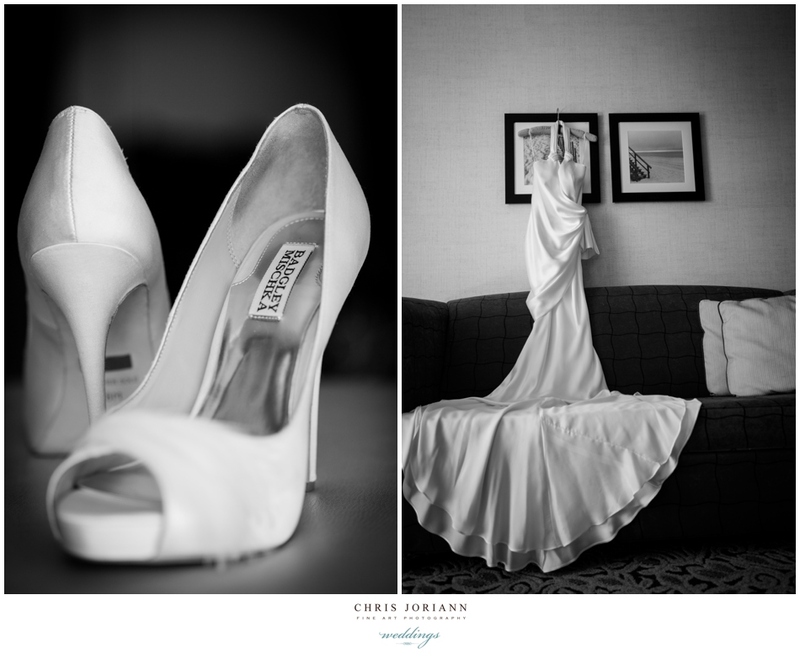 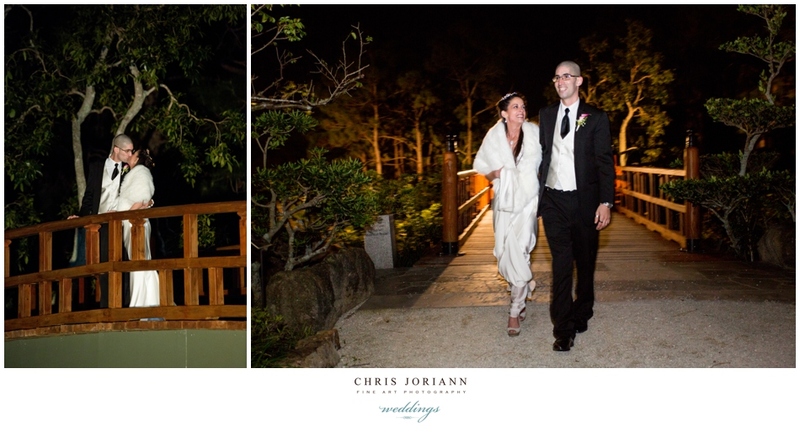 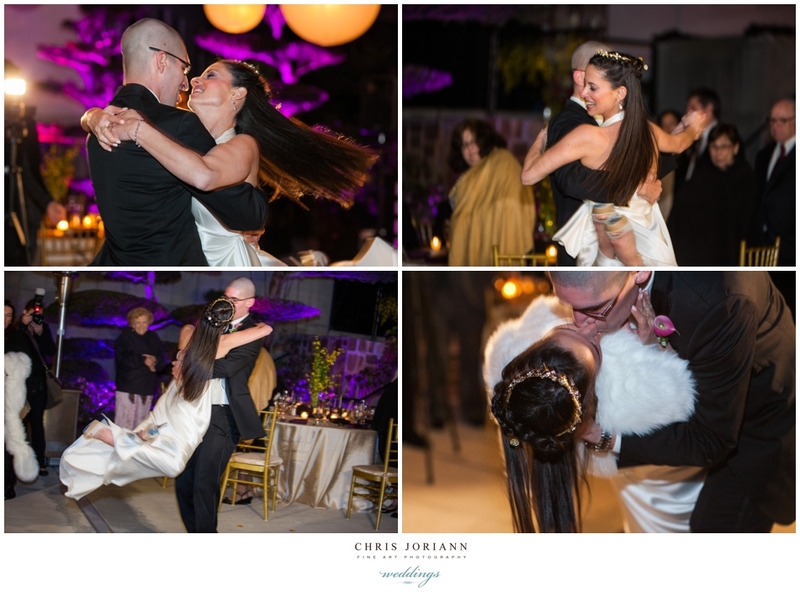 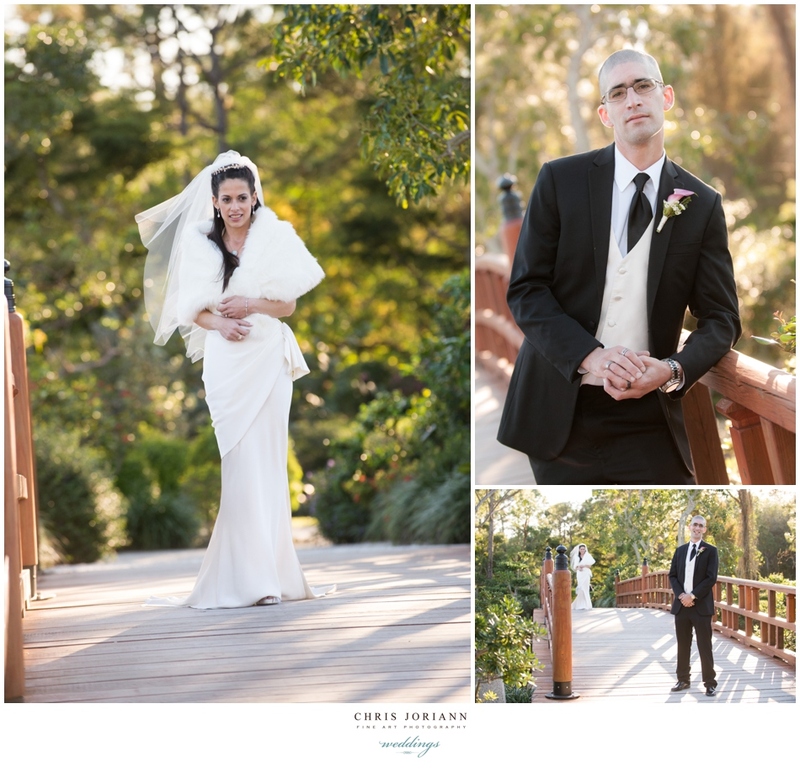 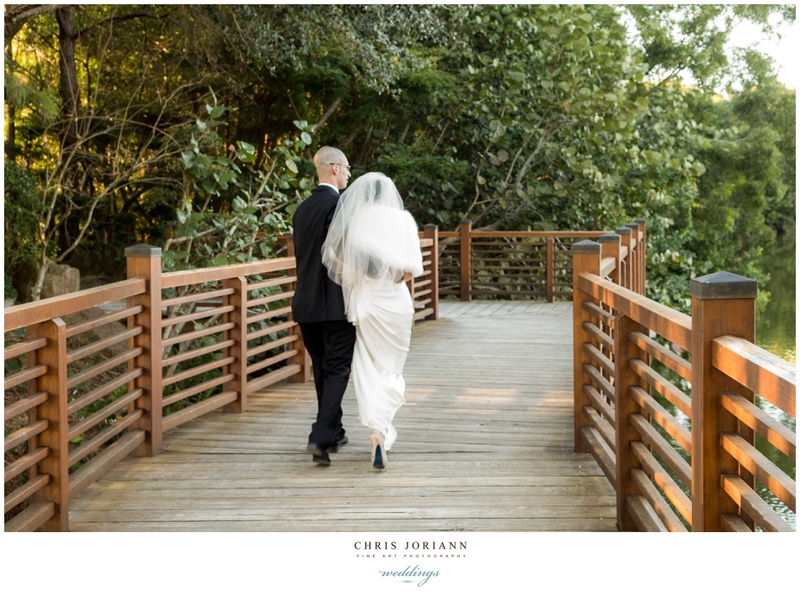 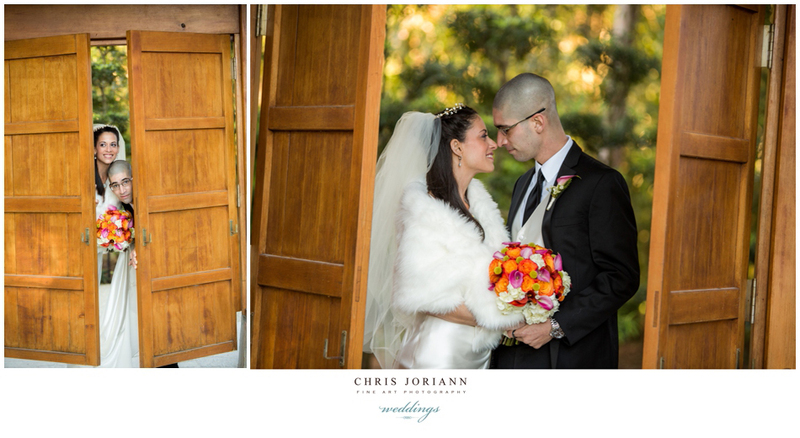 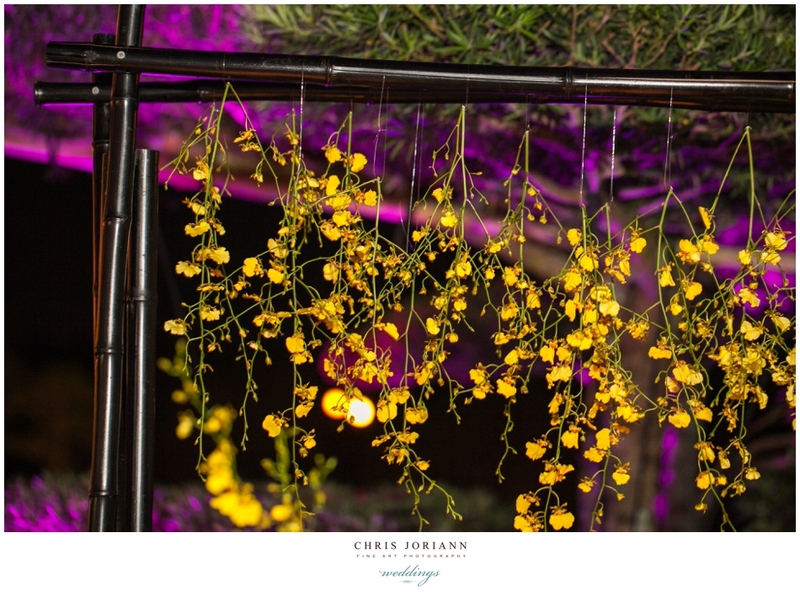 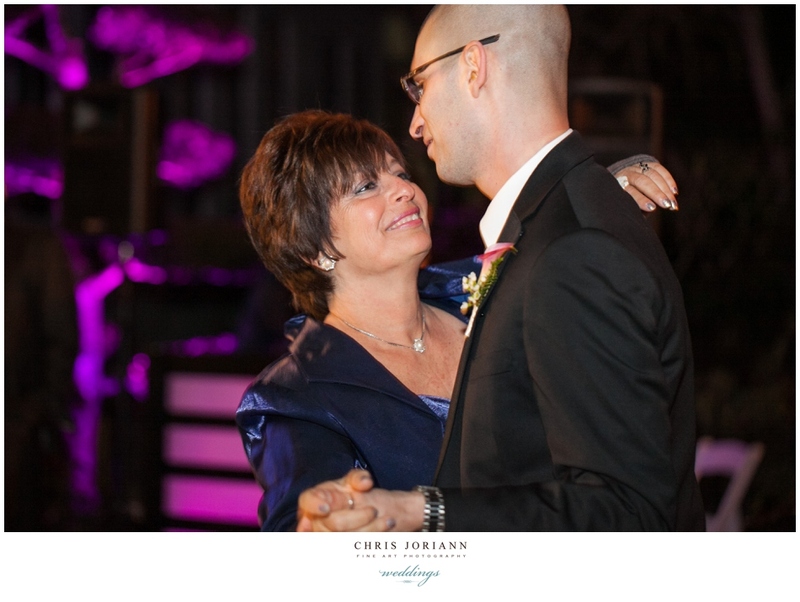 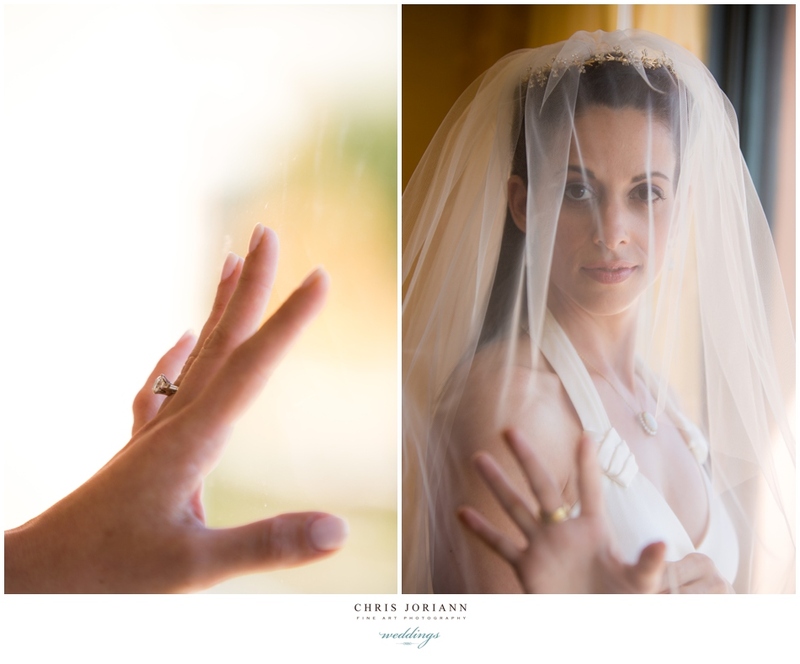 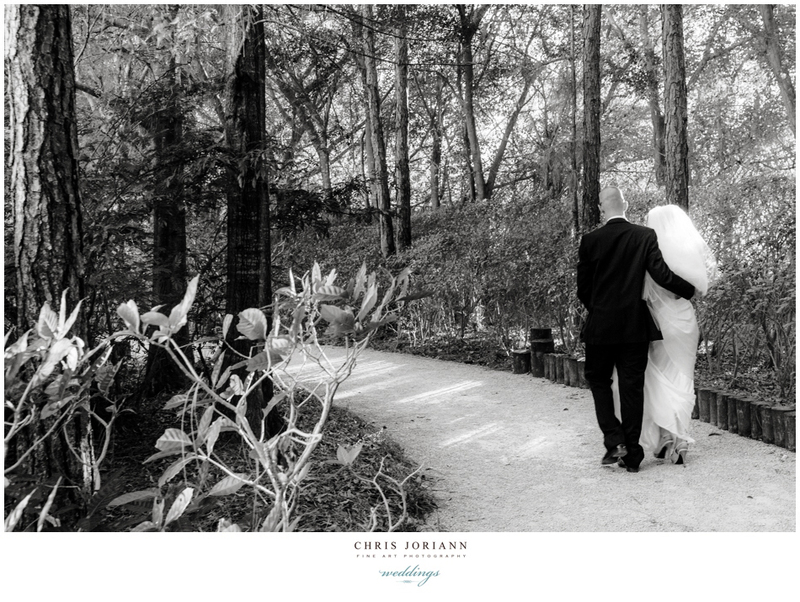 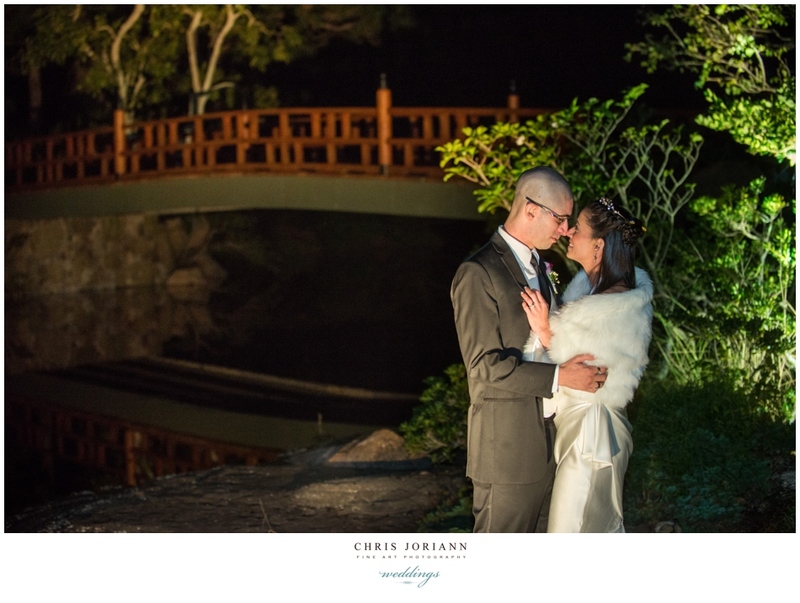 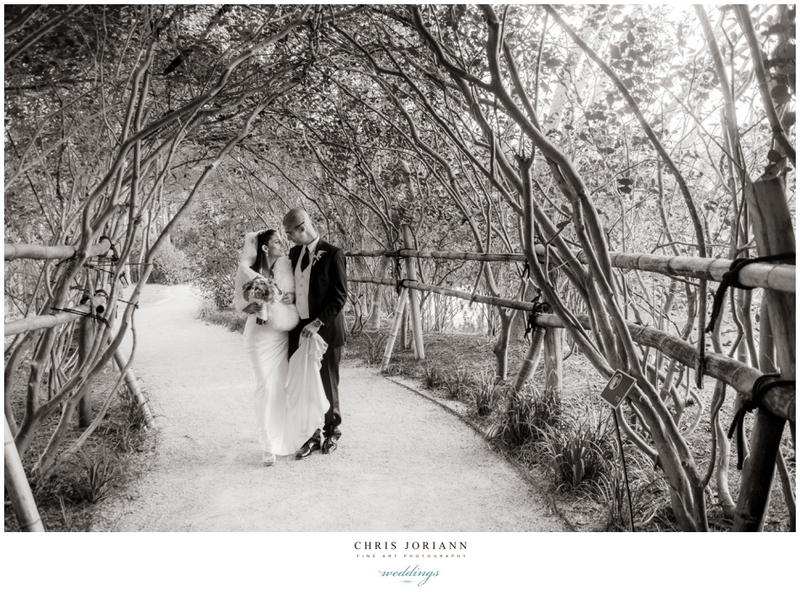 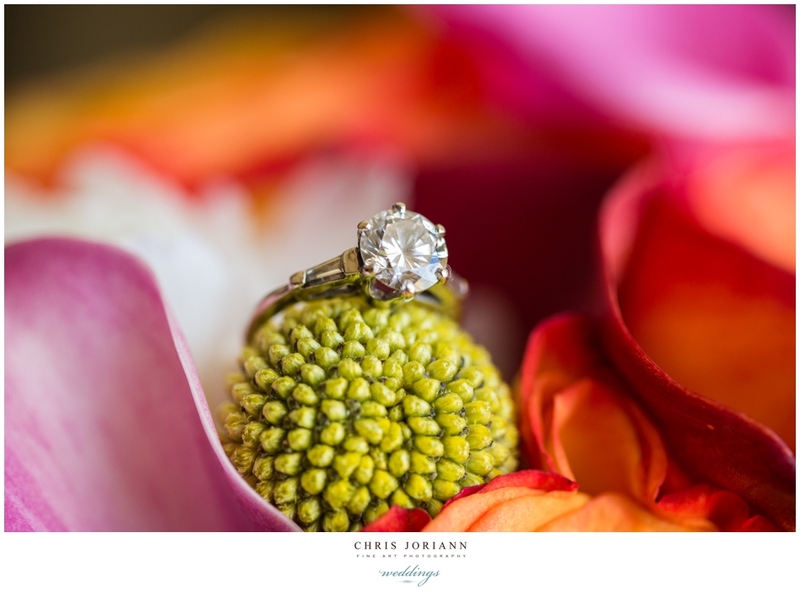 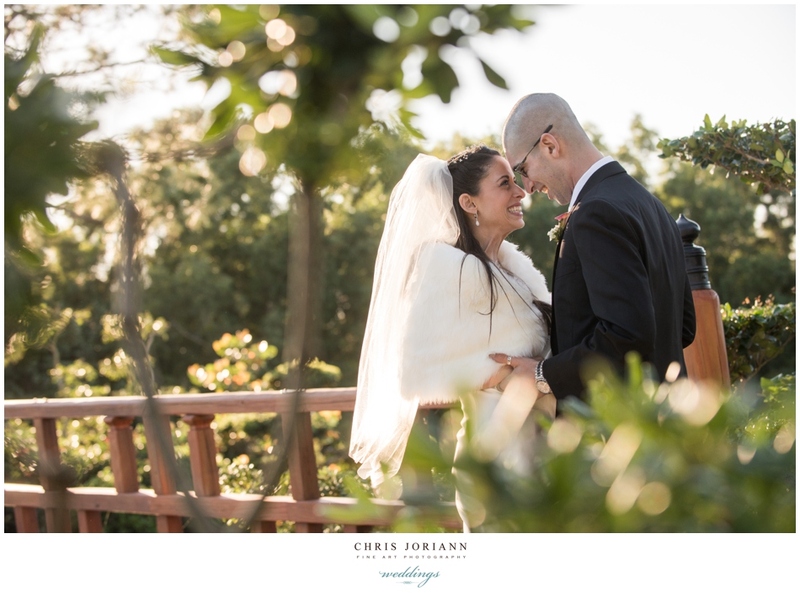 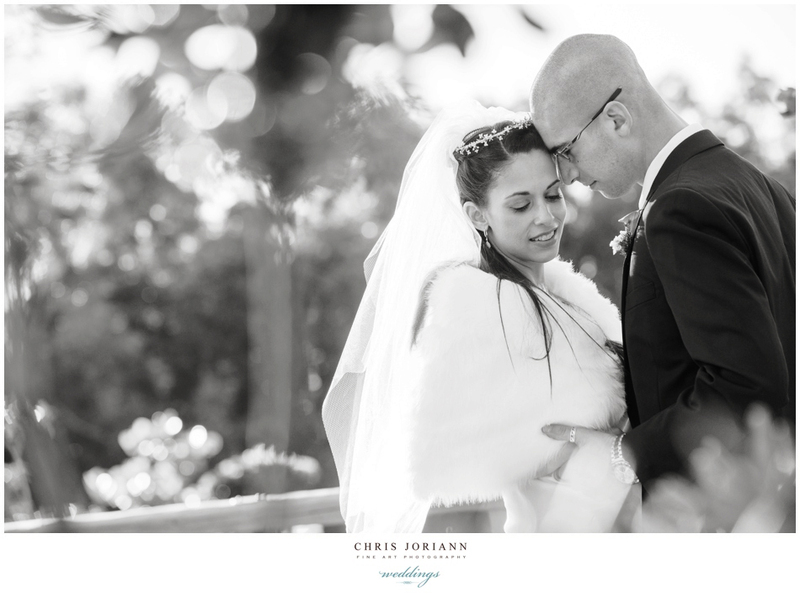 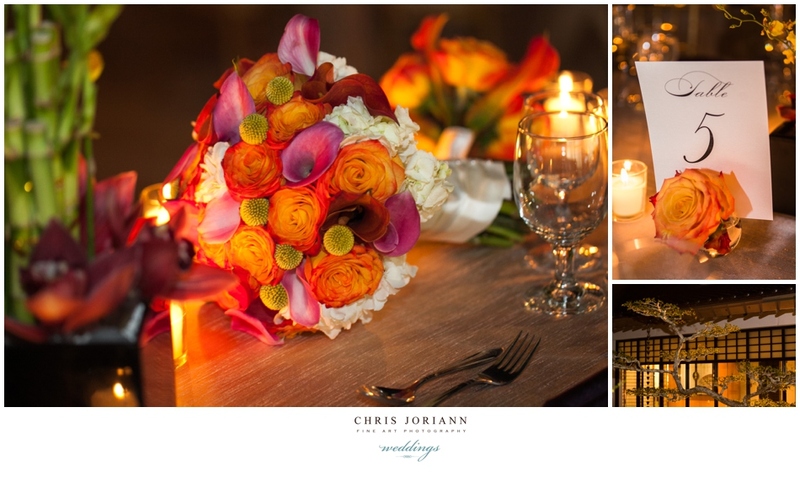 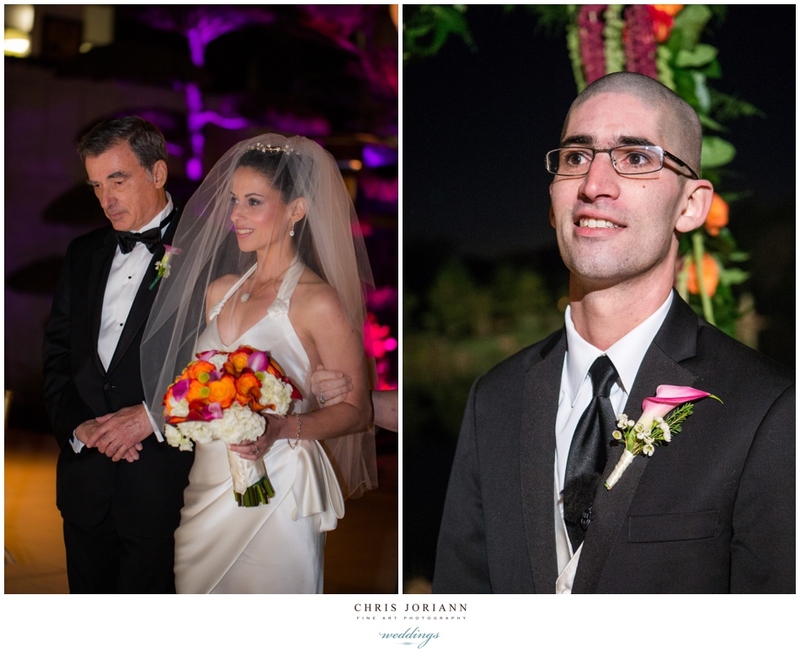 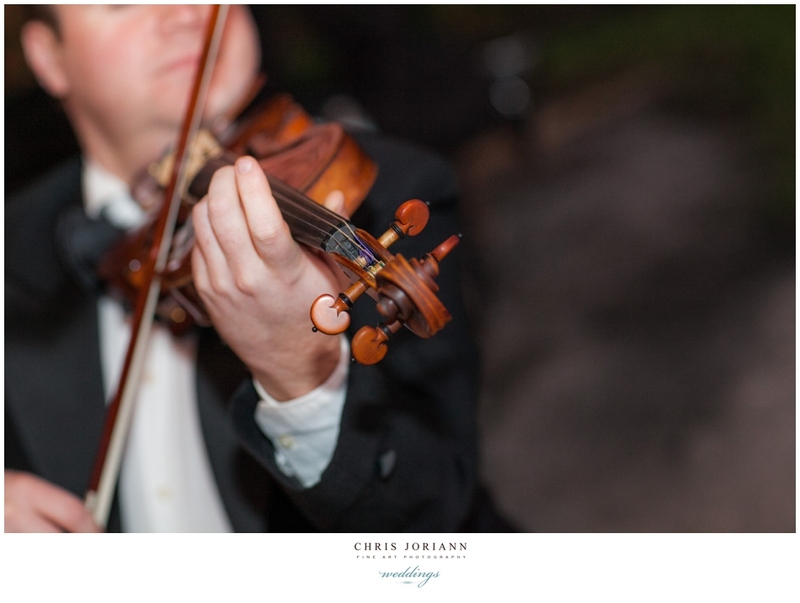 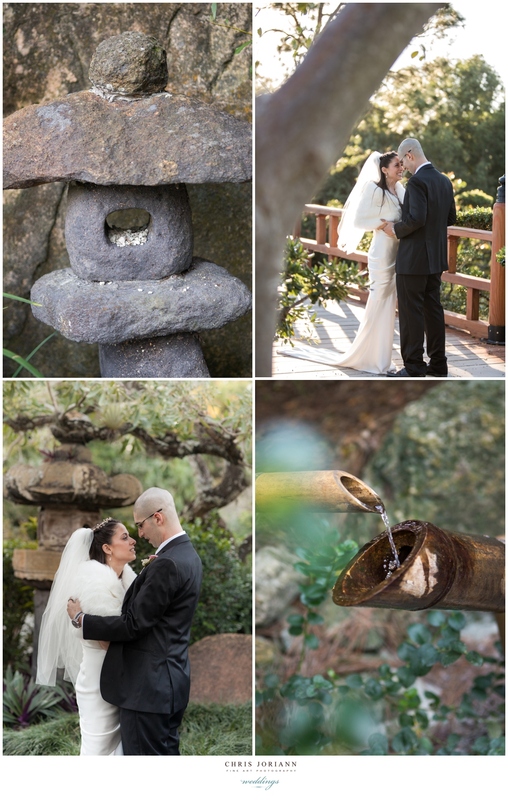 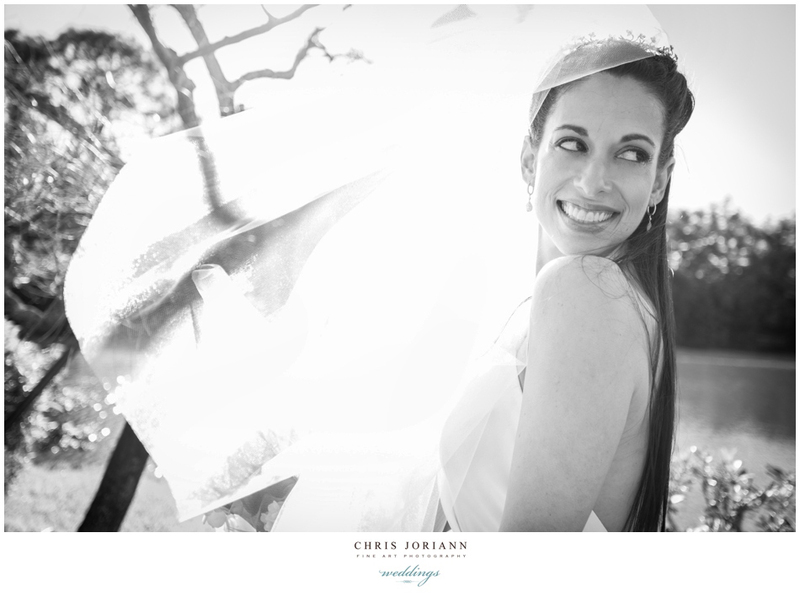 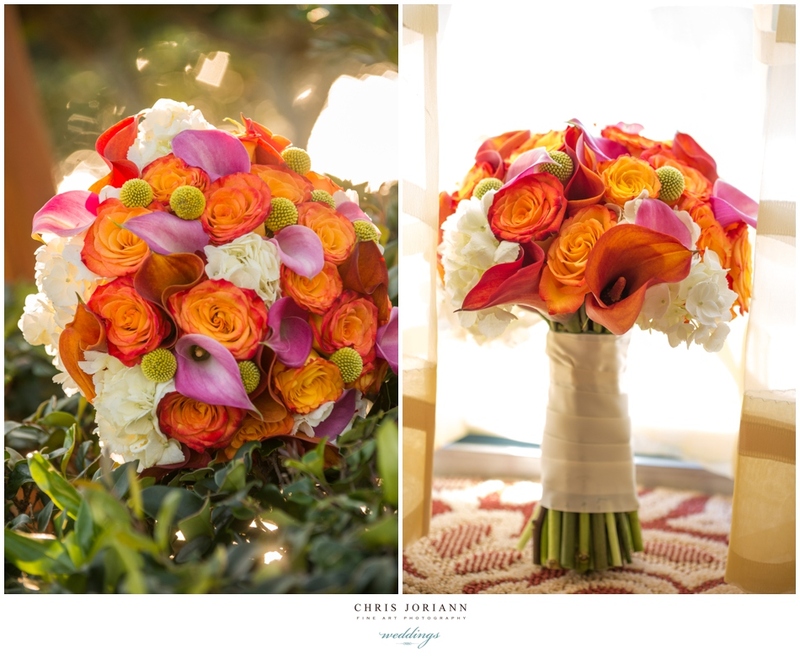 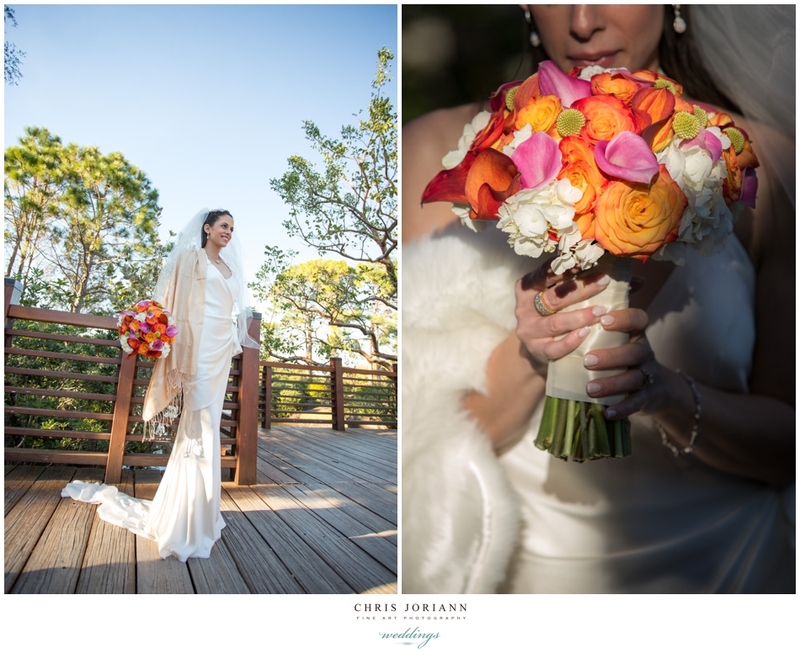 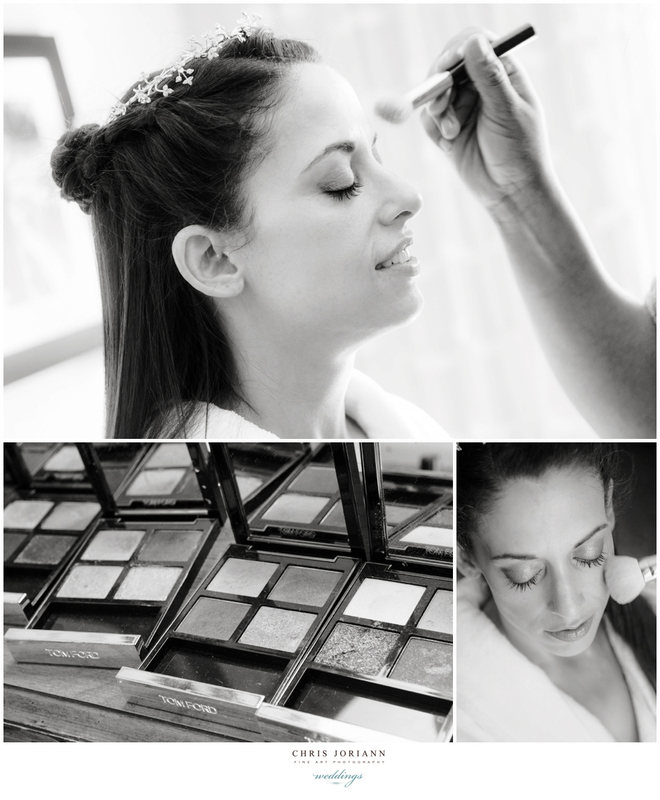 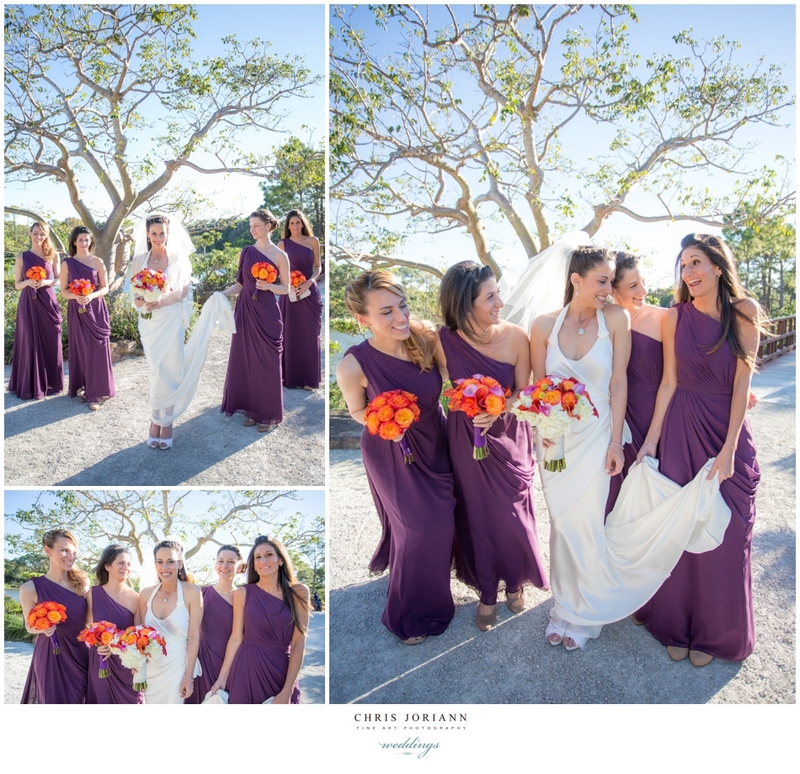 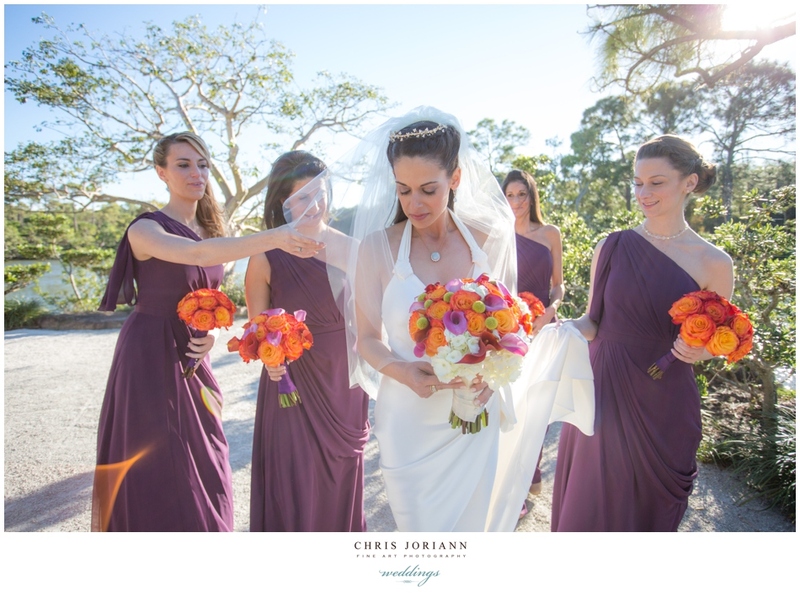 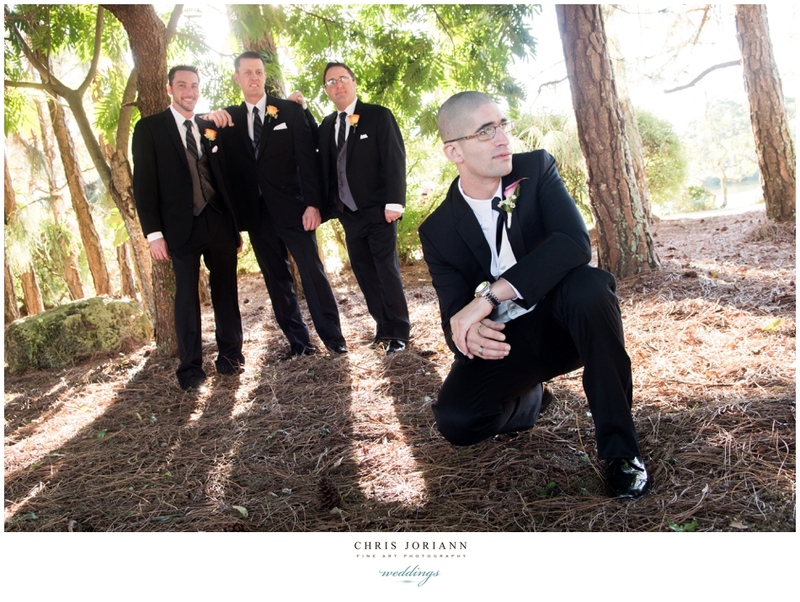 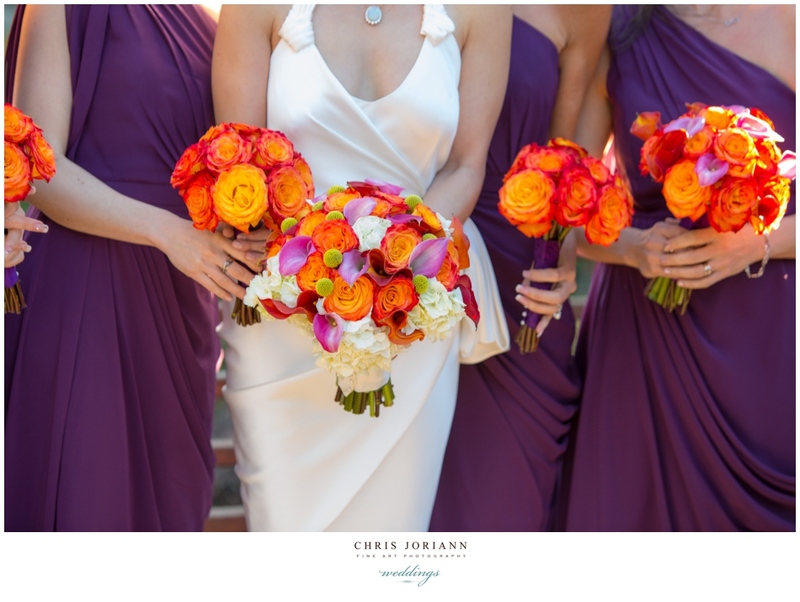 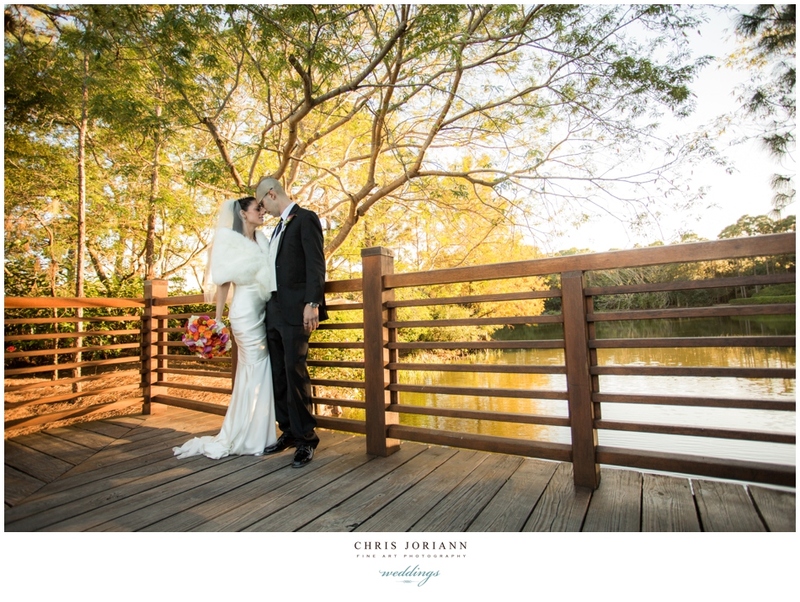 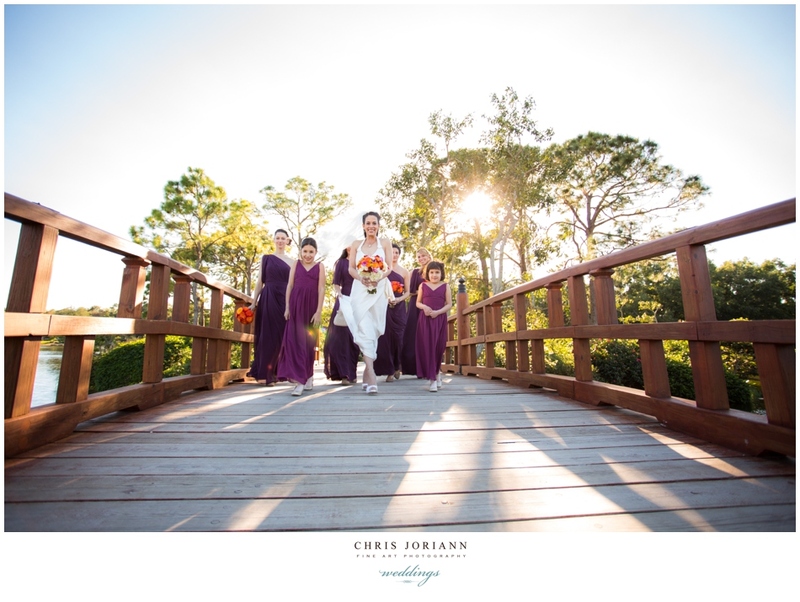 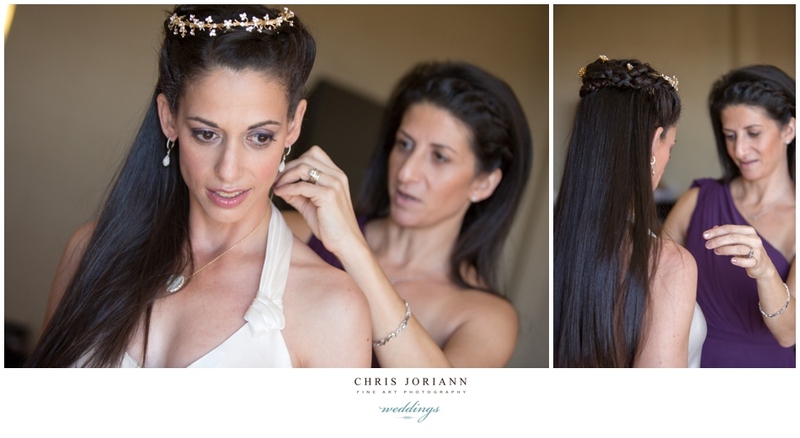 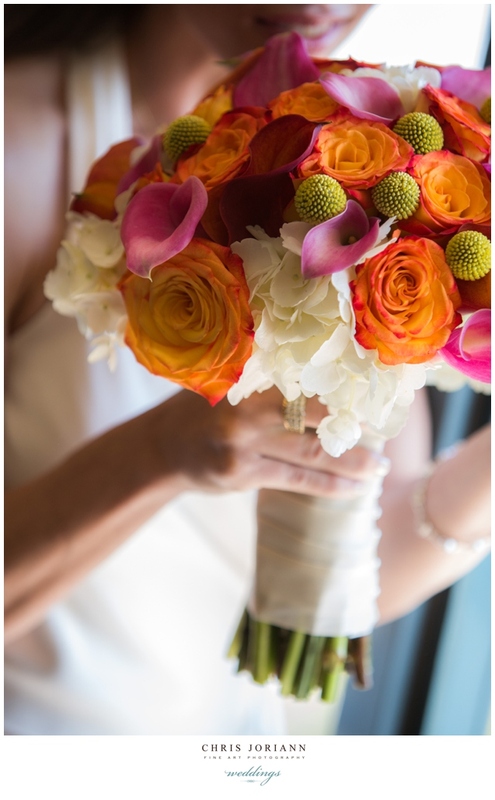 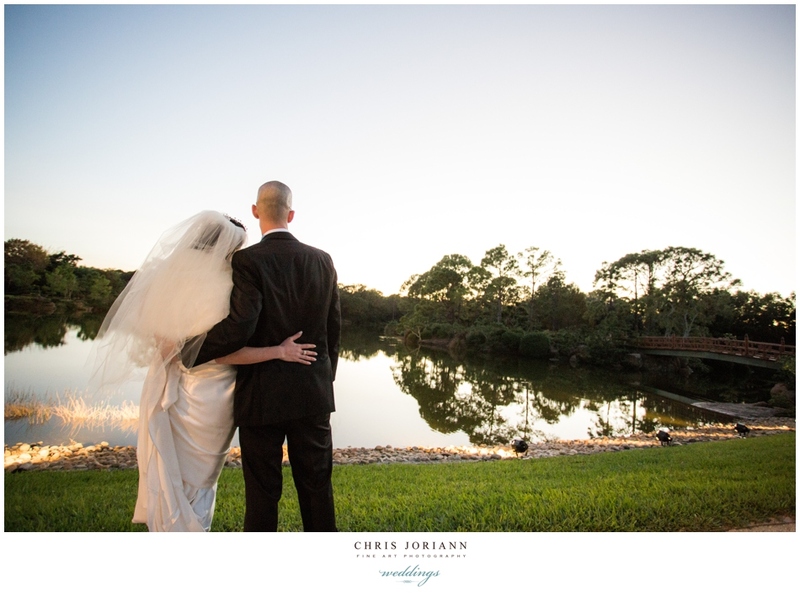 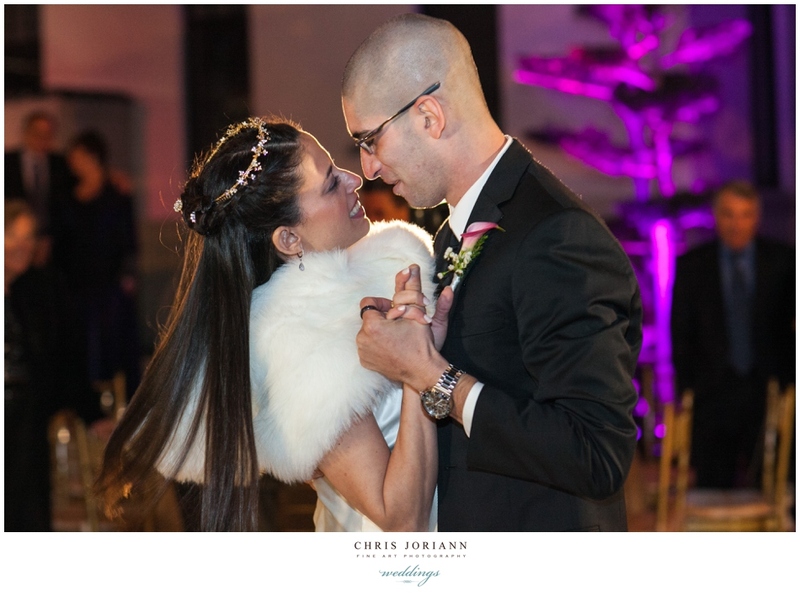 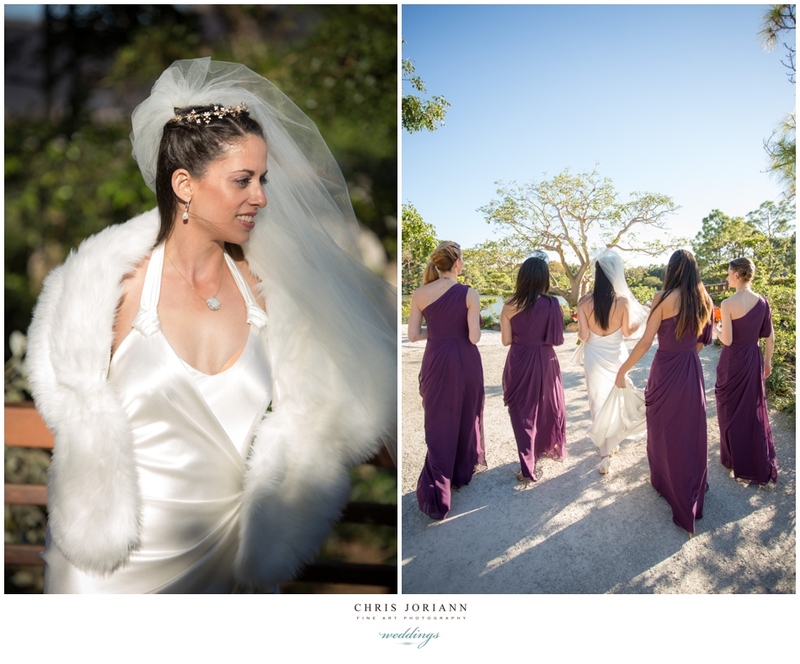 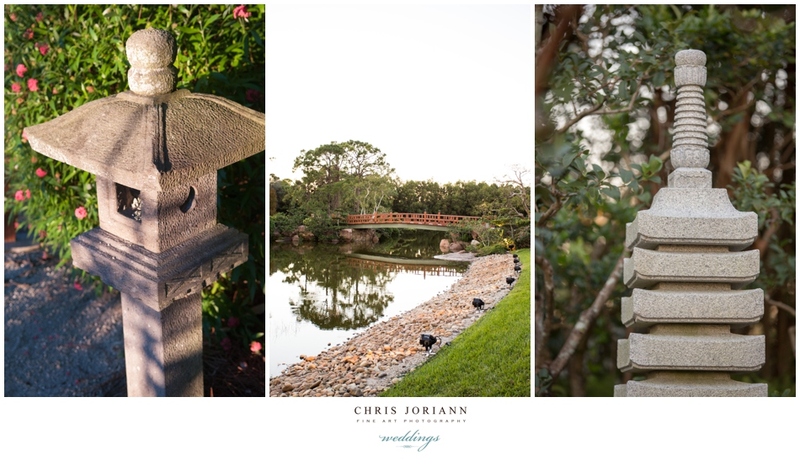 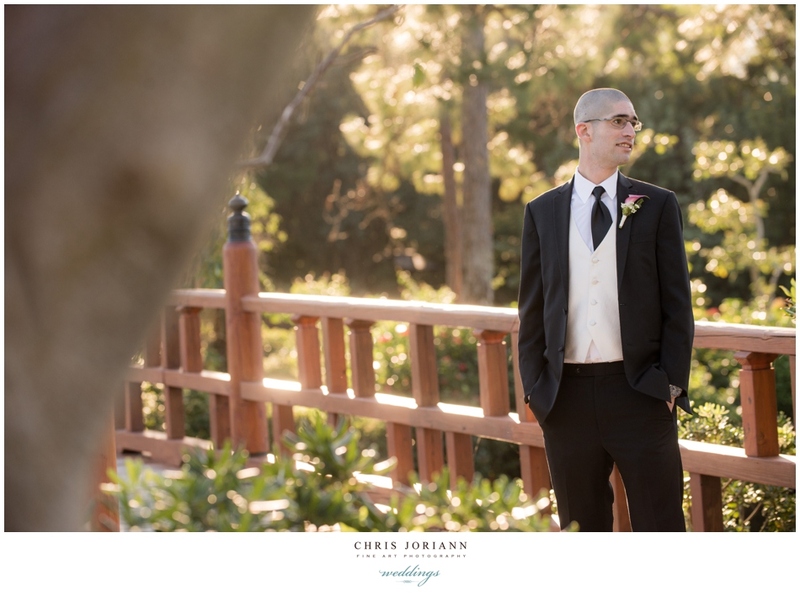 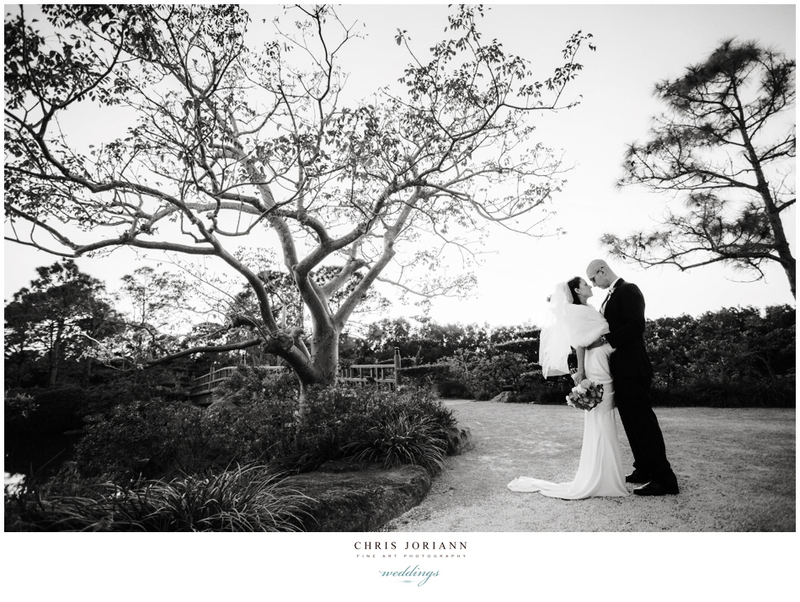 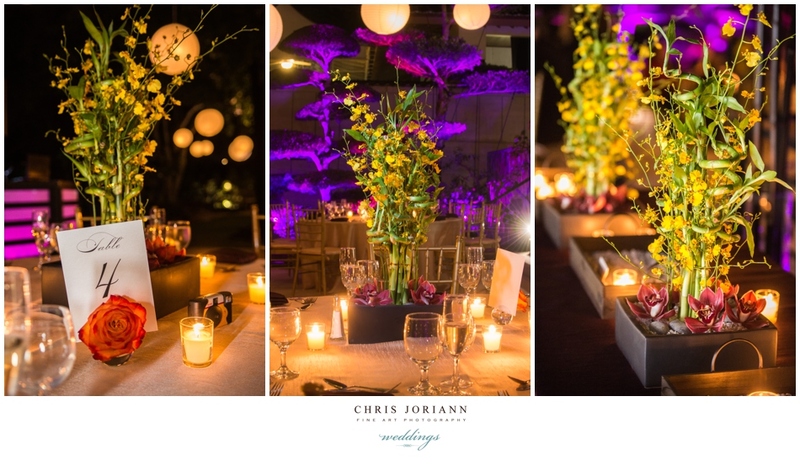 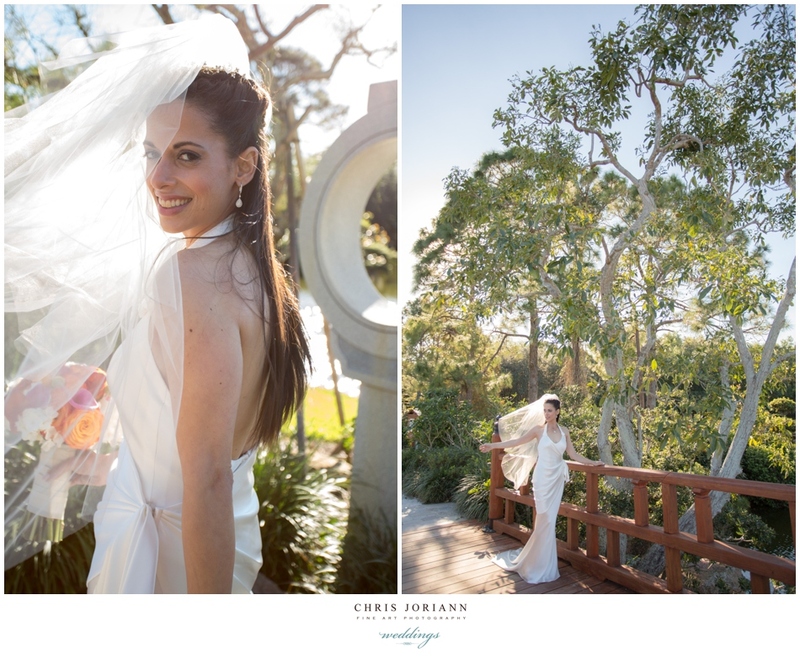 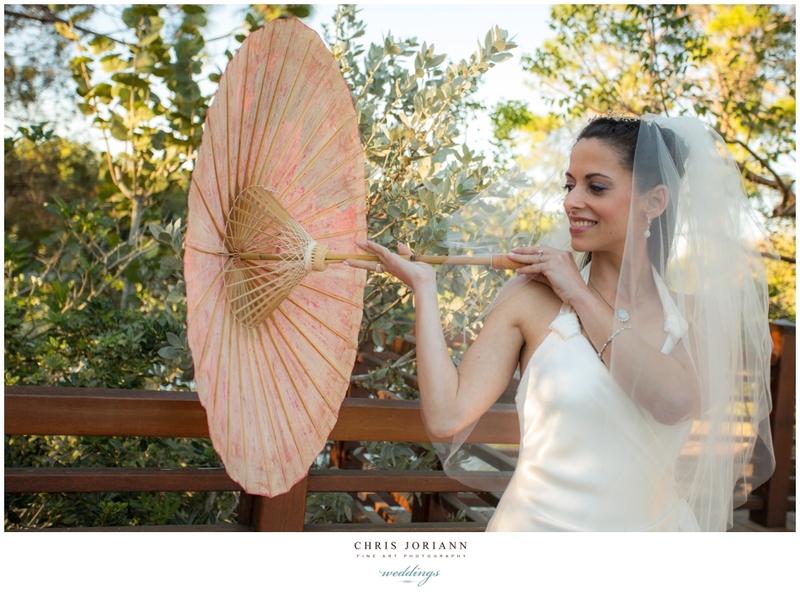 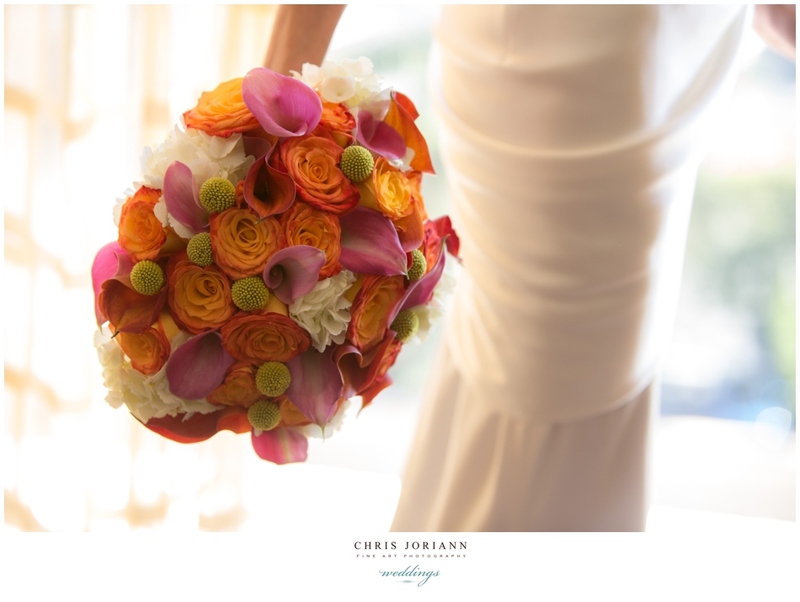 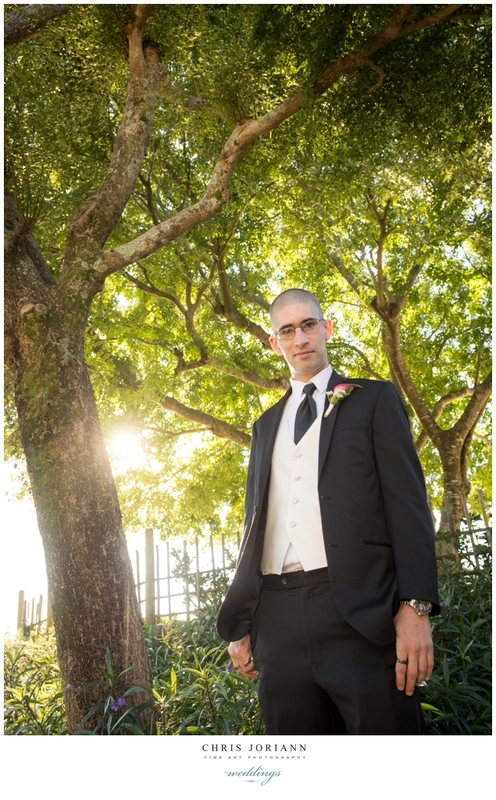 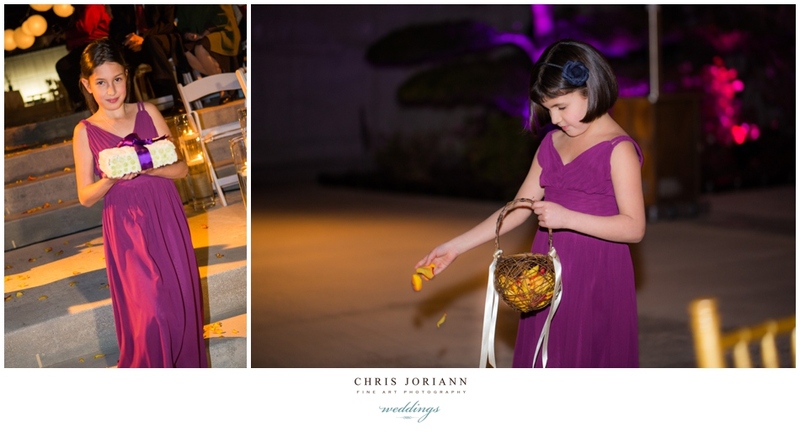 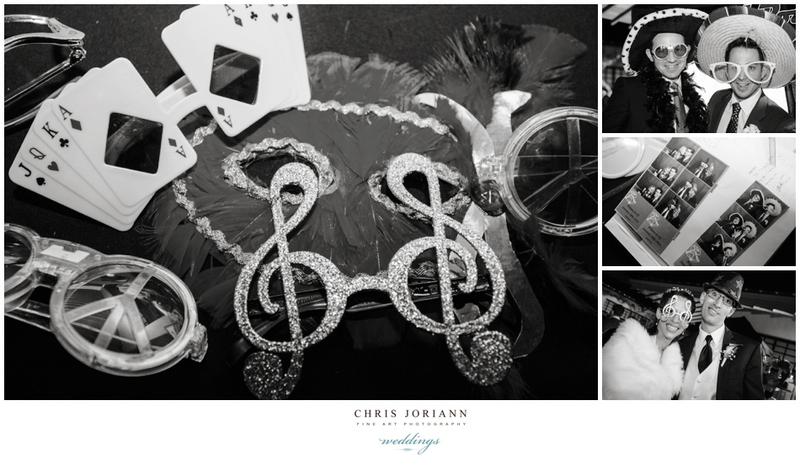 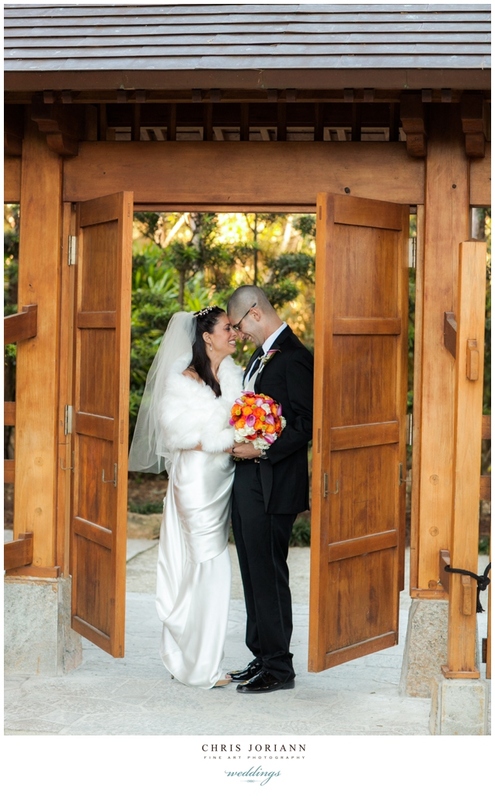 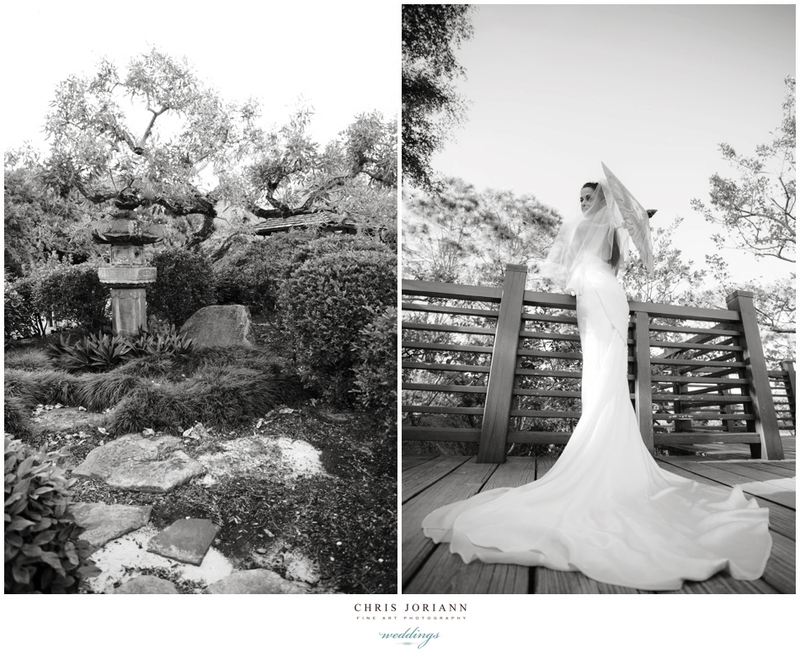 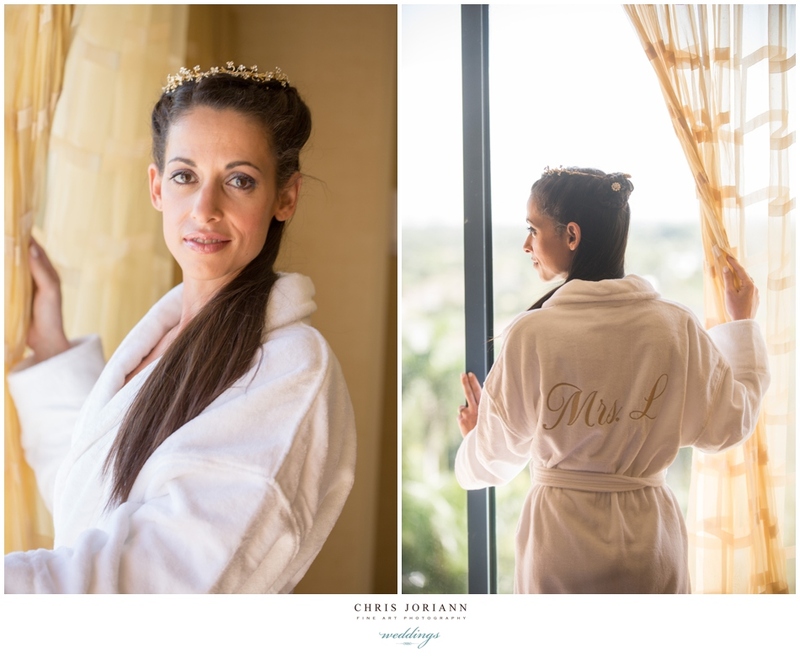 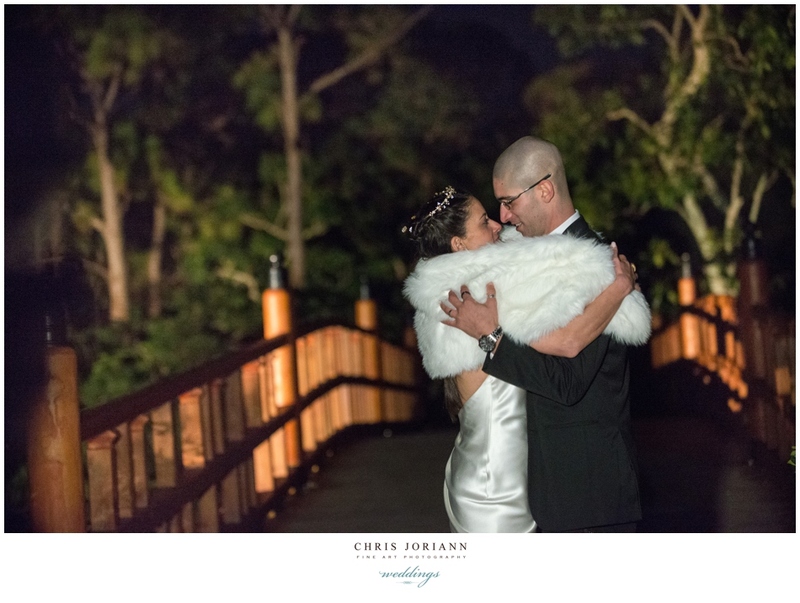 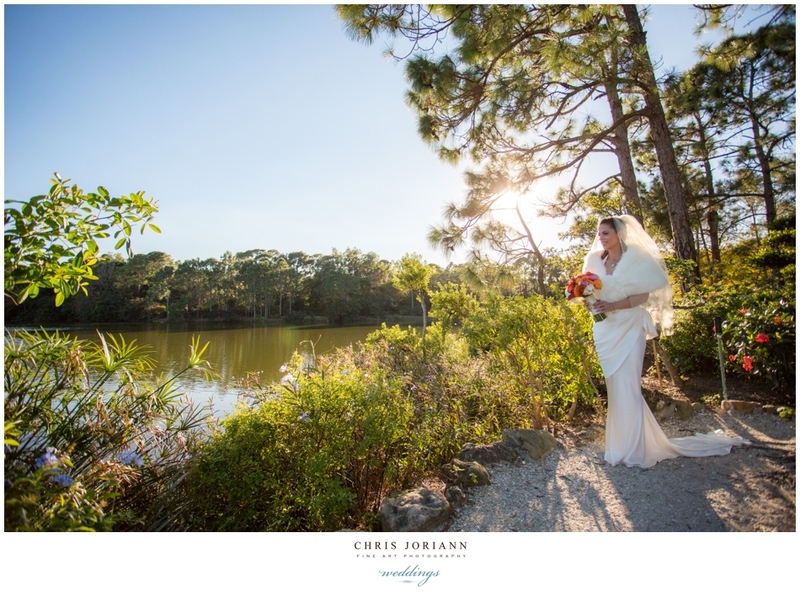 Hilary + PJ’s wedding at Morikami Museum + Japanese Gardens was a stunning combination of Asian flair meets midnight romance. 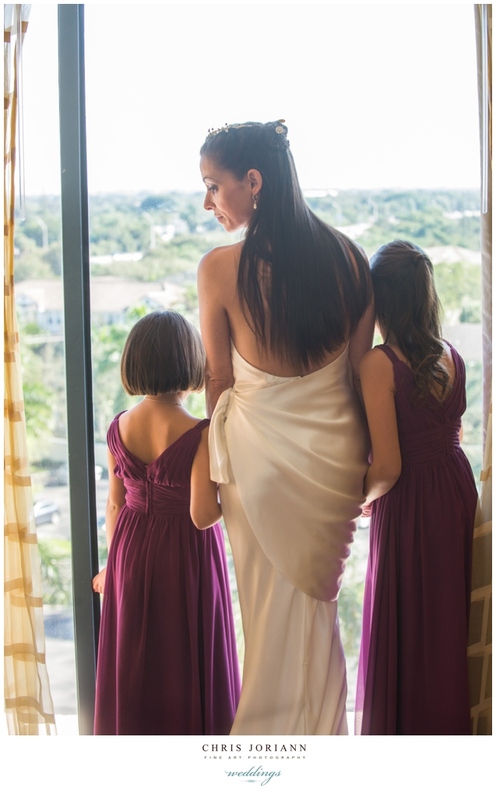 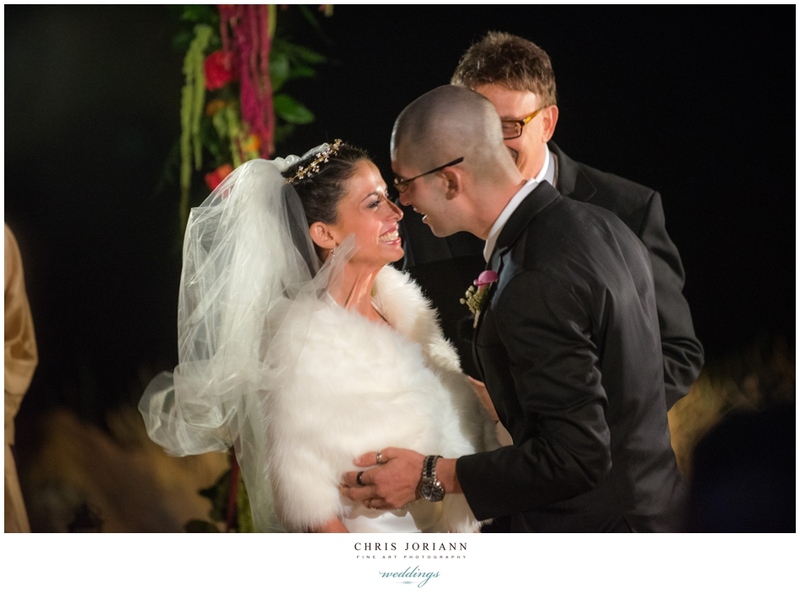 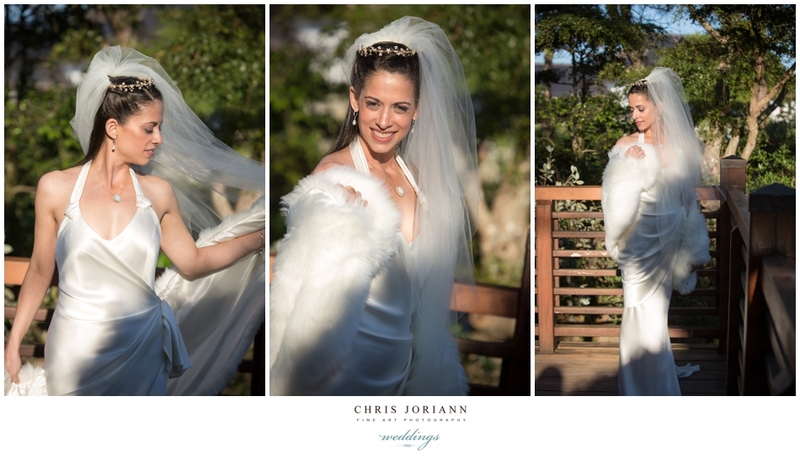 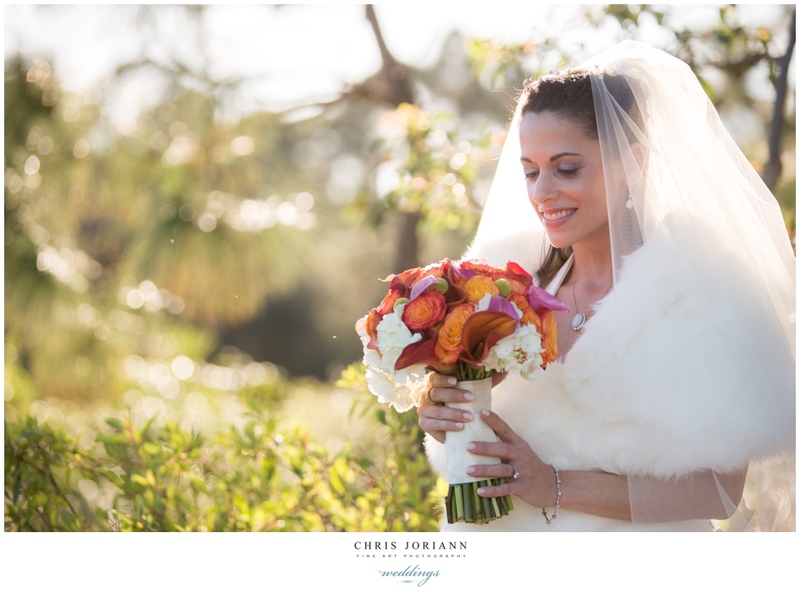 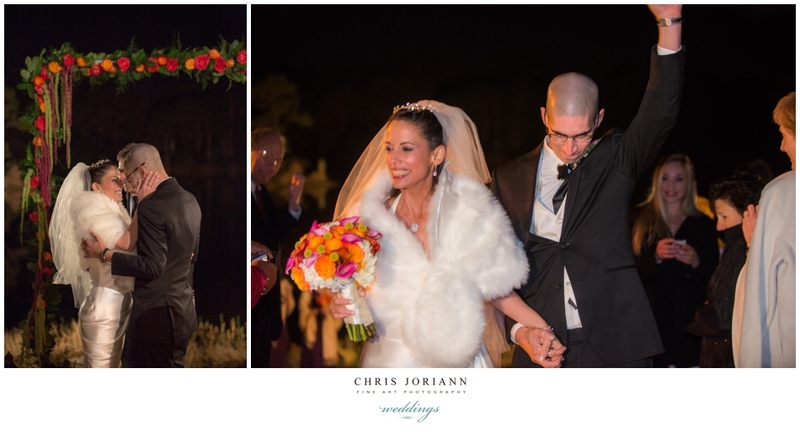 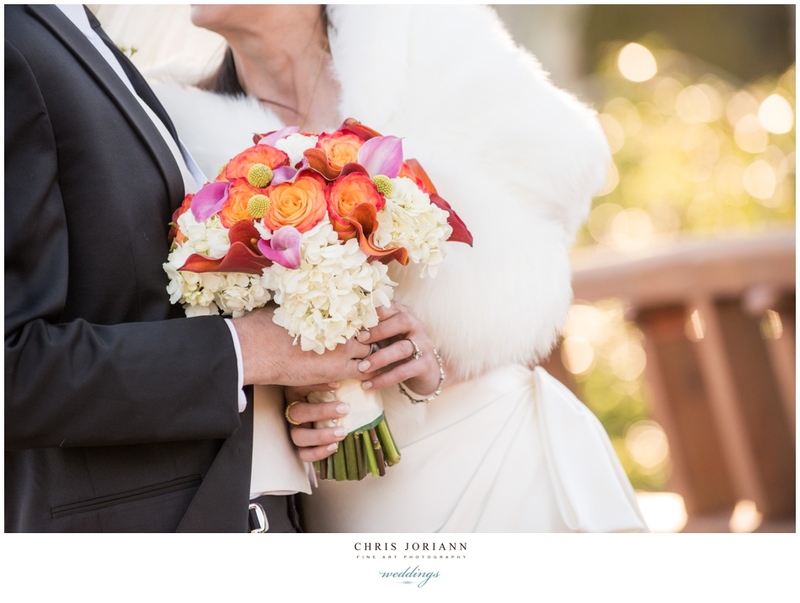 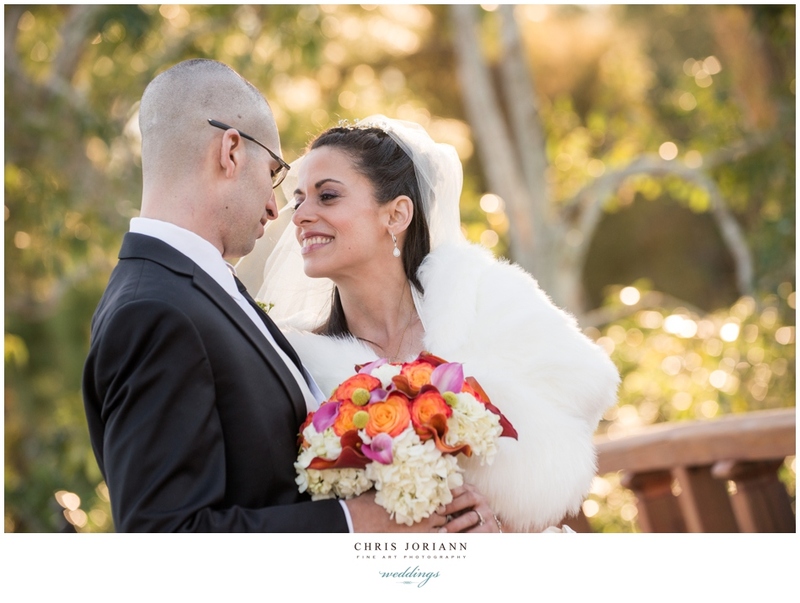 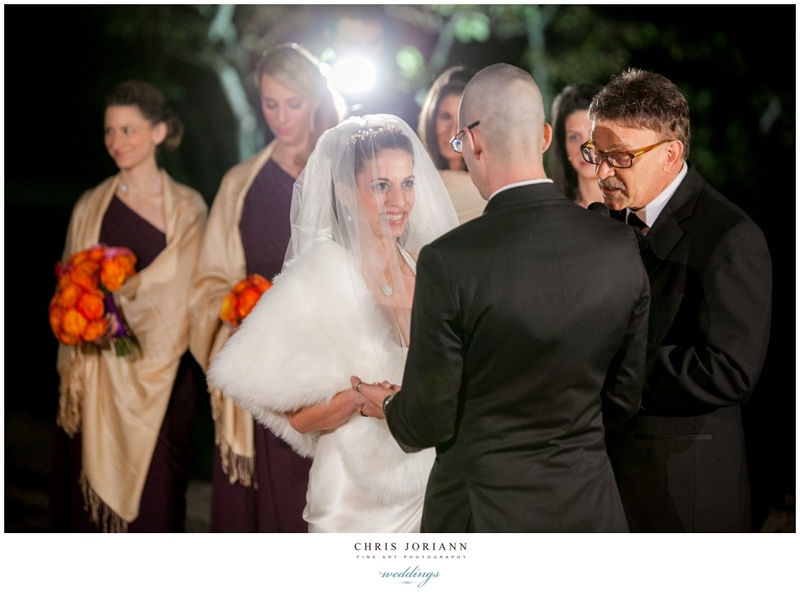 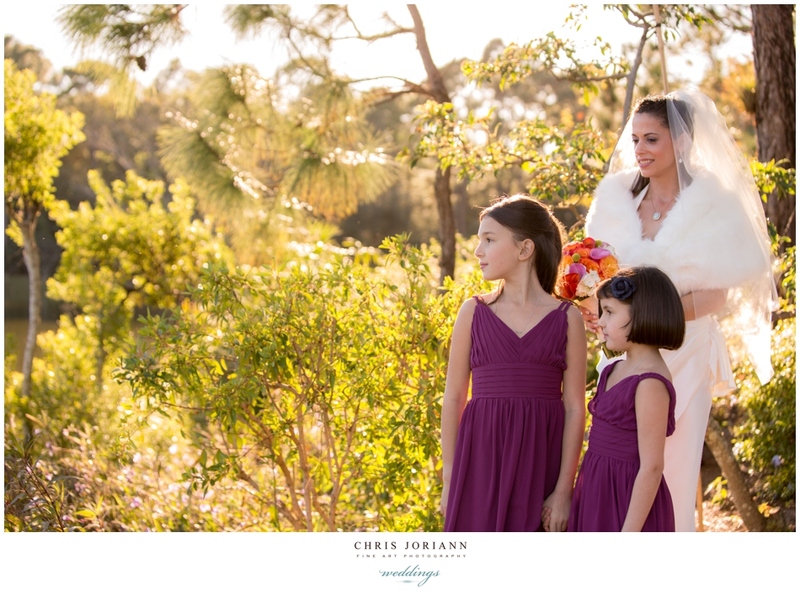 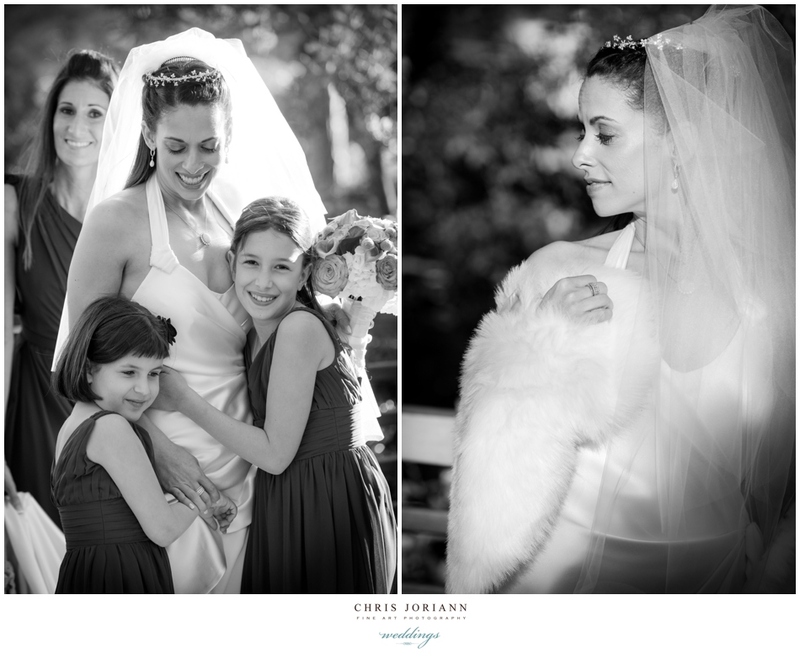 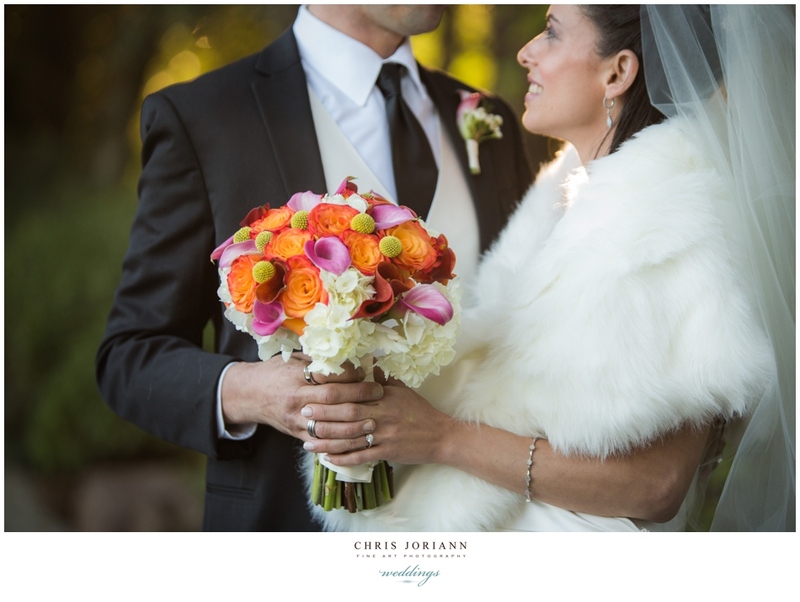 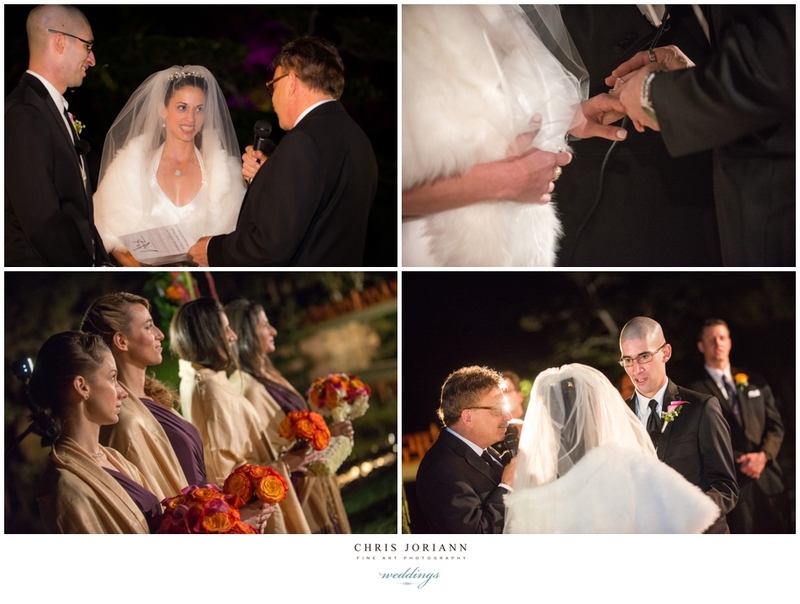 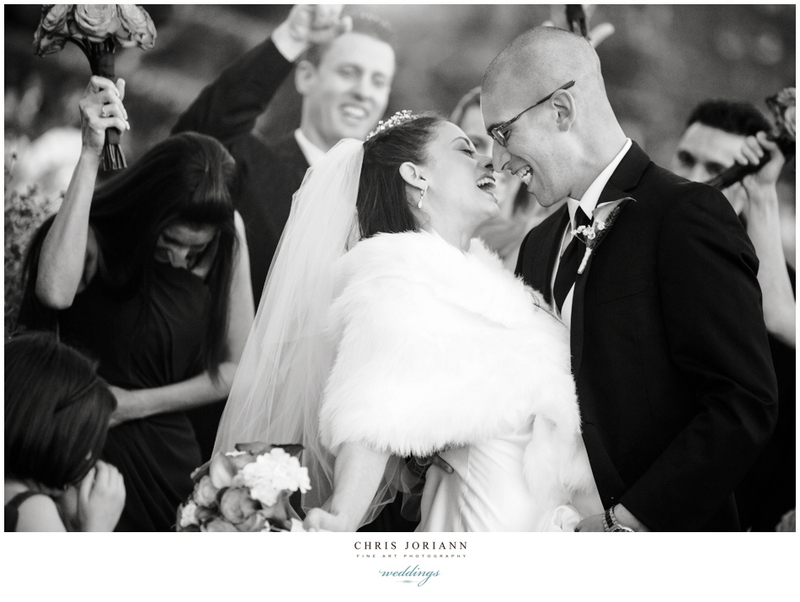 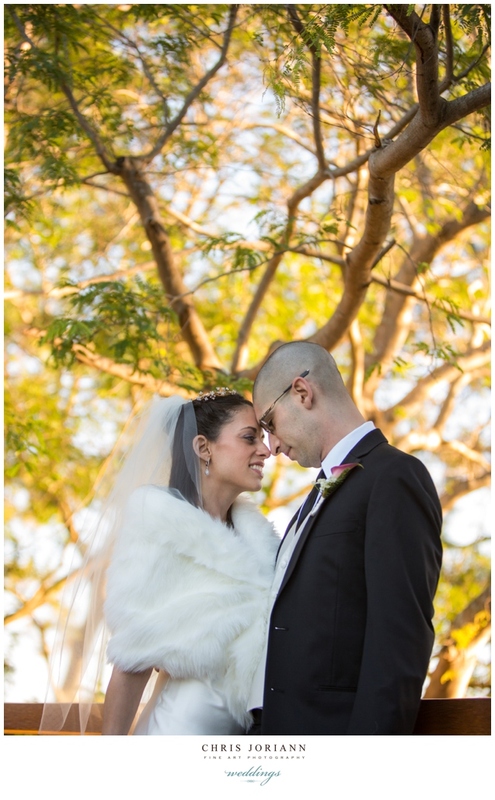 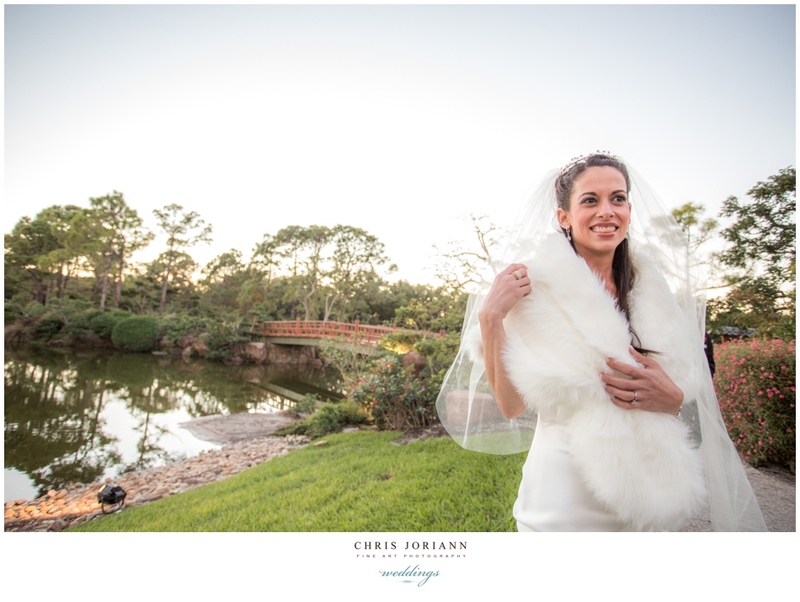 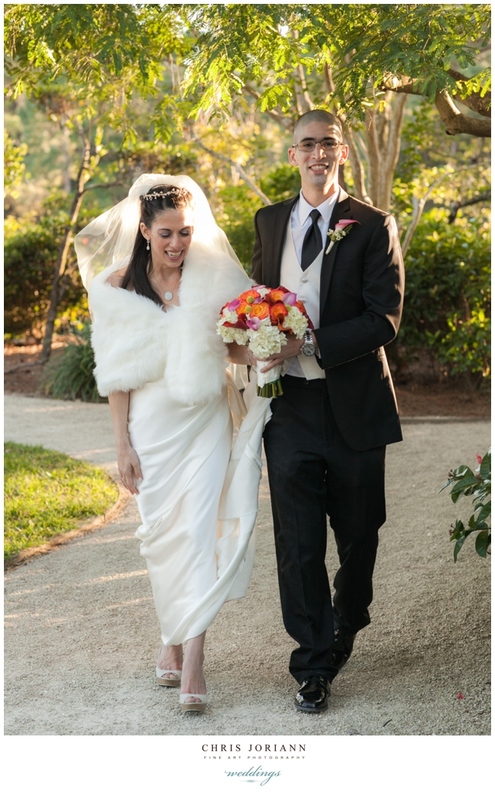 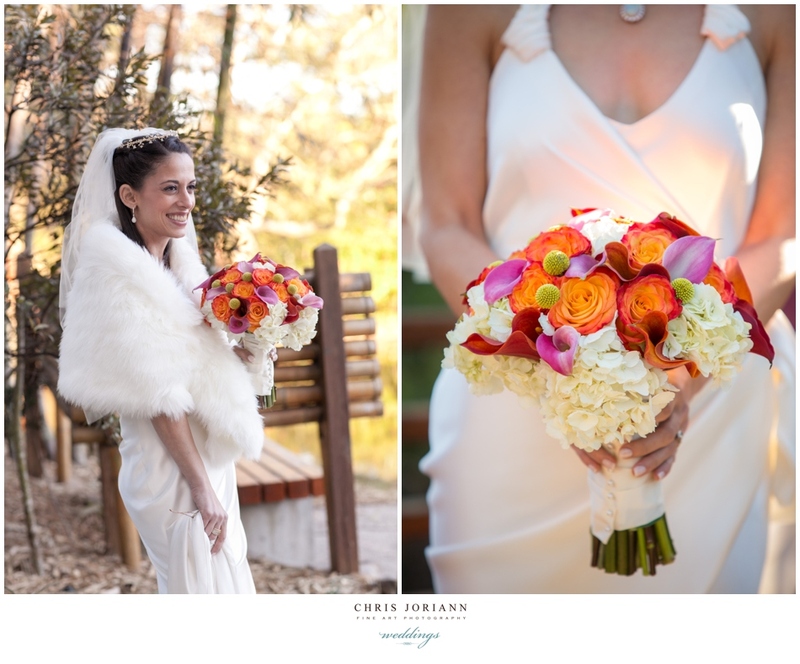 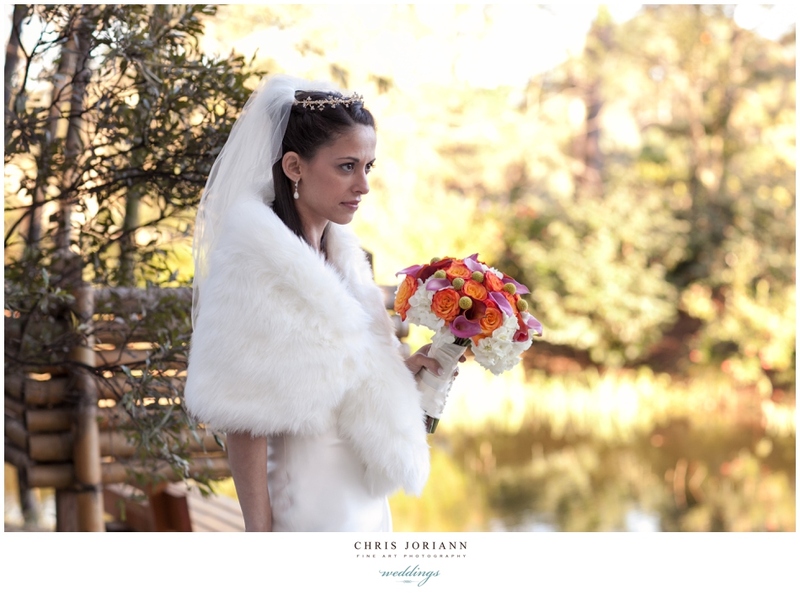 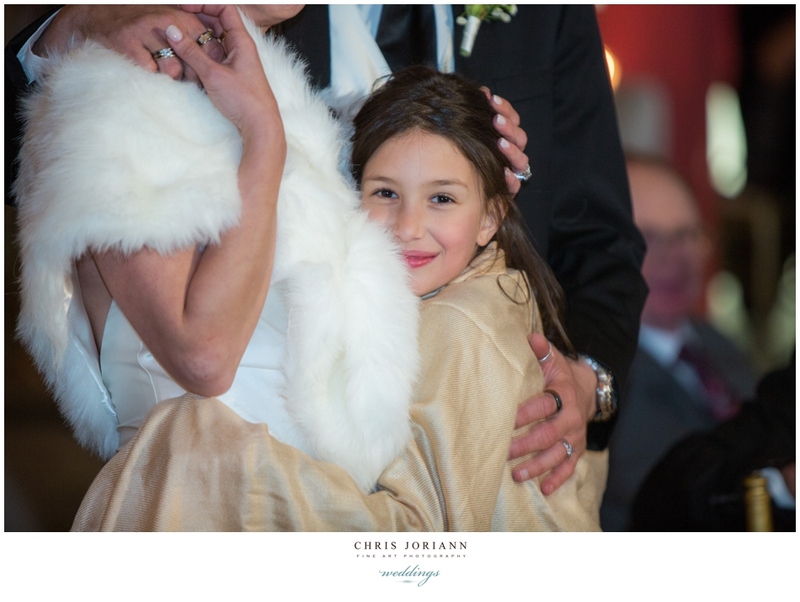 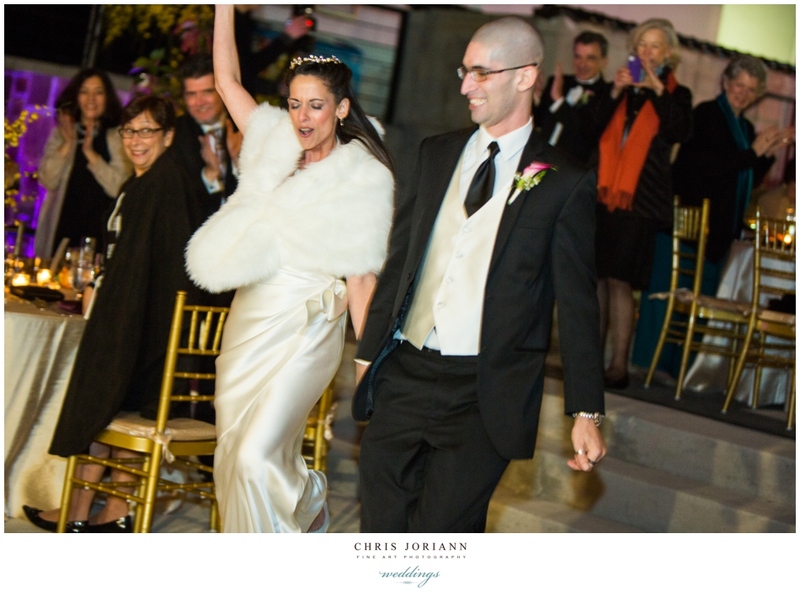 Draped over her silk gown, the bride, wore a faux-fur stole, atypical for Florida, but perfect for the chilly 40 degree day. 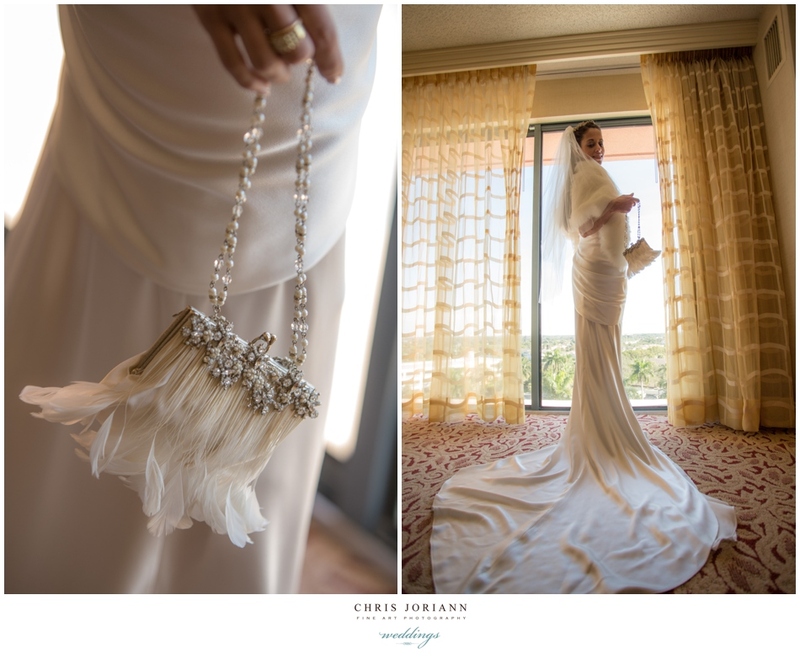 Her feathered Badgly Mischka shoes worked well with a vintage feathered purse. 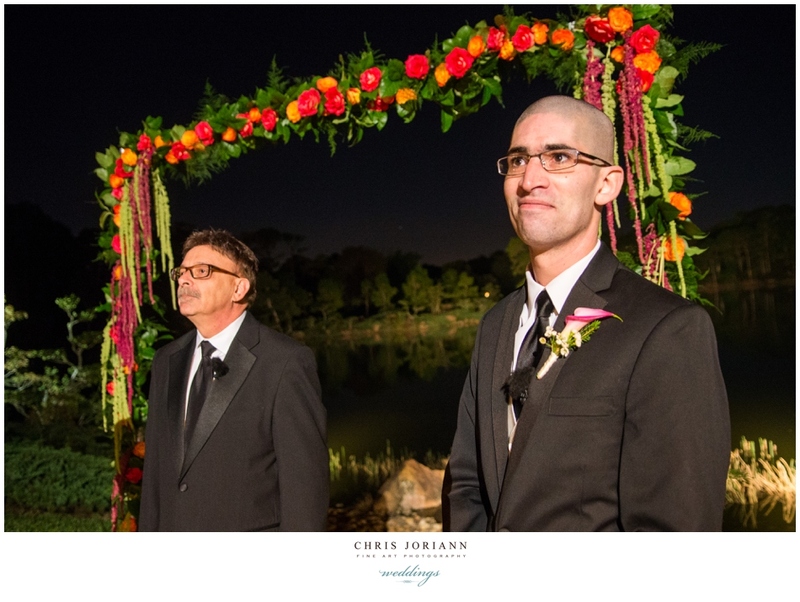 The ceremony took place beneath the stars. 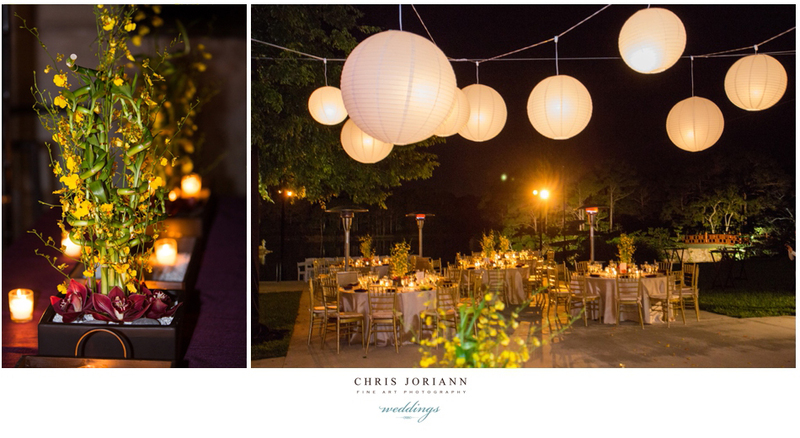 An outdoor reception folllowed on the stone patio, overlooking the lake. 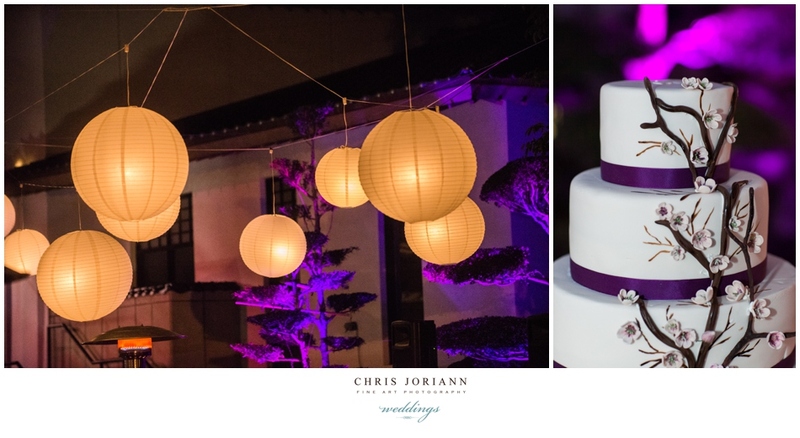 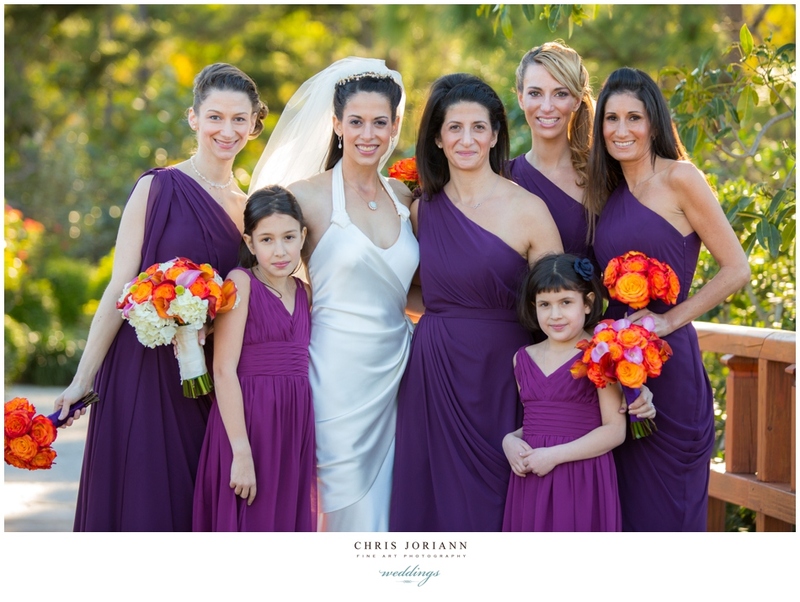 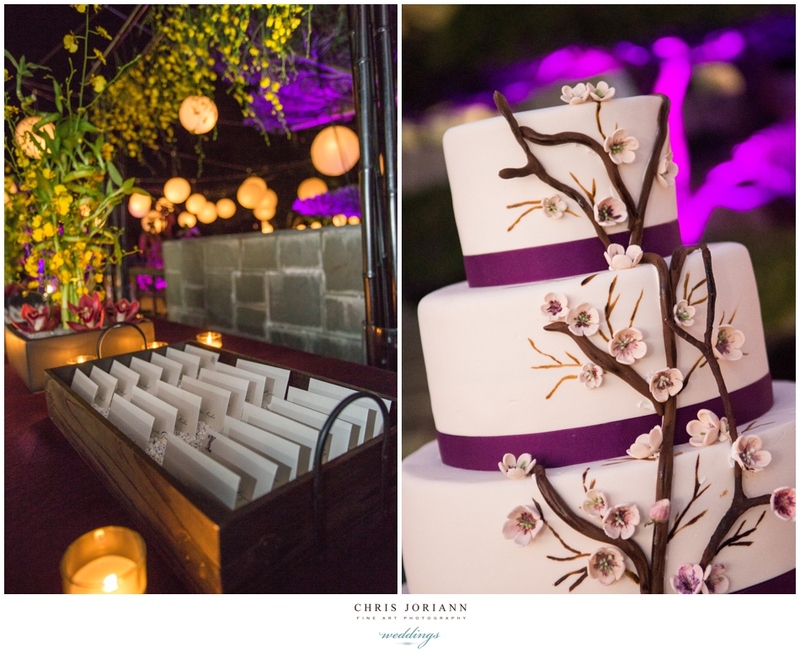 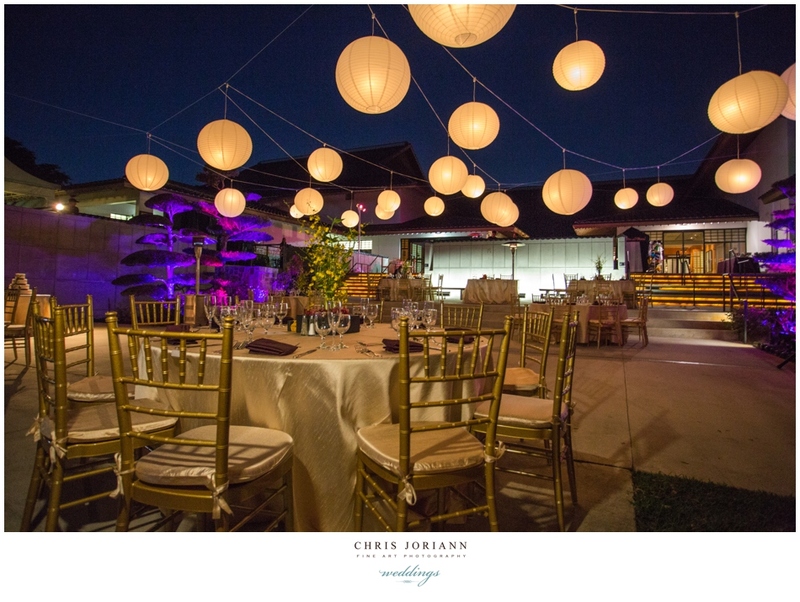 The space was uplit in hues of purple, as espresso colored bamboo arches and hanging lanterns decorated the space. 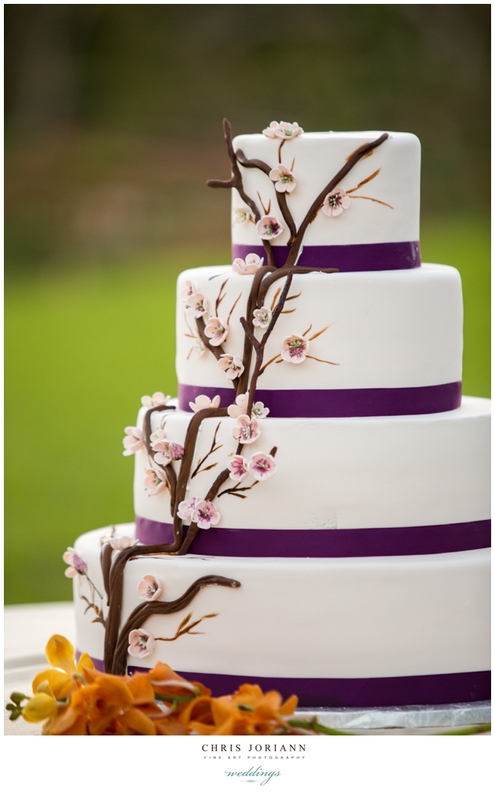 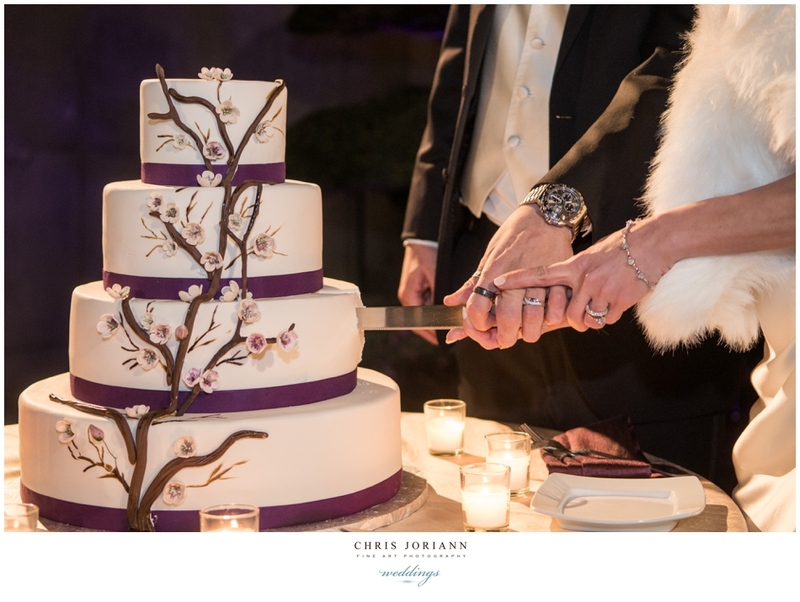 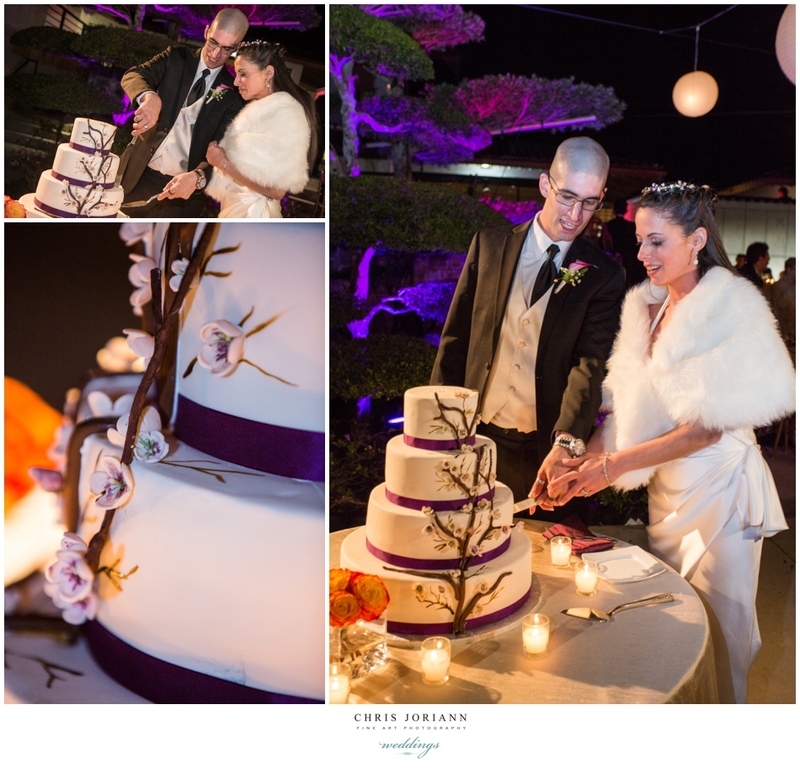 The cake was one of my favorites, chocolate branches with little flowers cascading down the white icing layered w. deep purple ribbons. 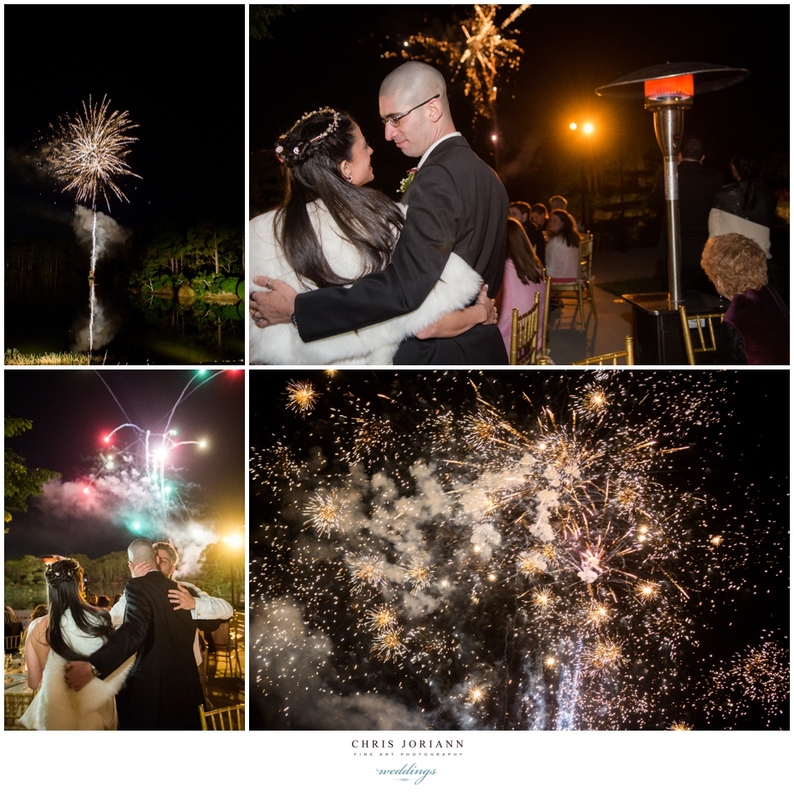 Highlights of the night included the couples’ fabulous first dance and a fabulous fireworks display over the water. 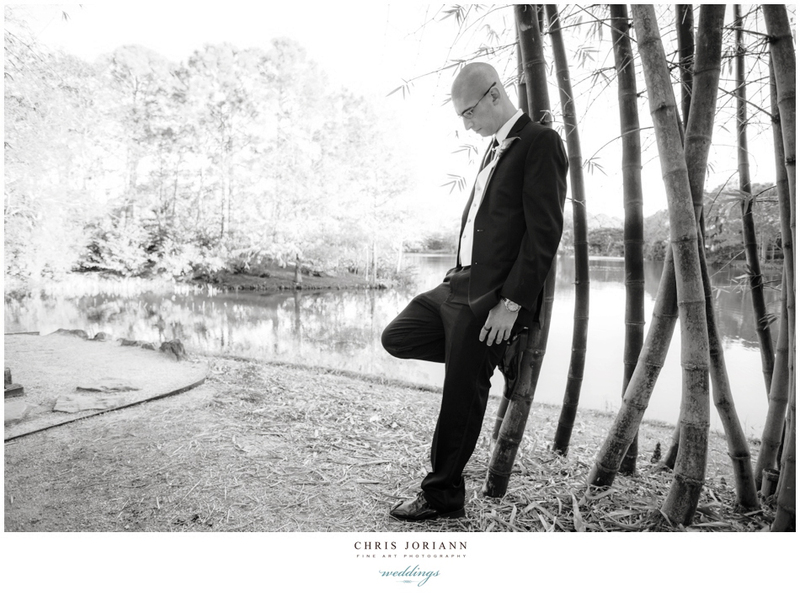 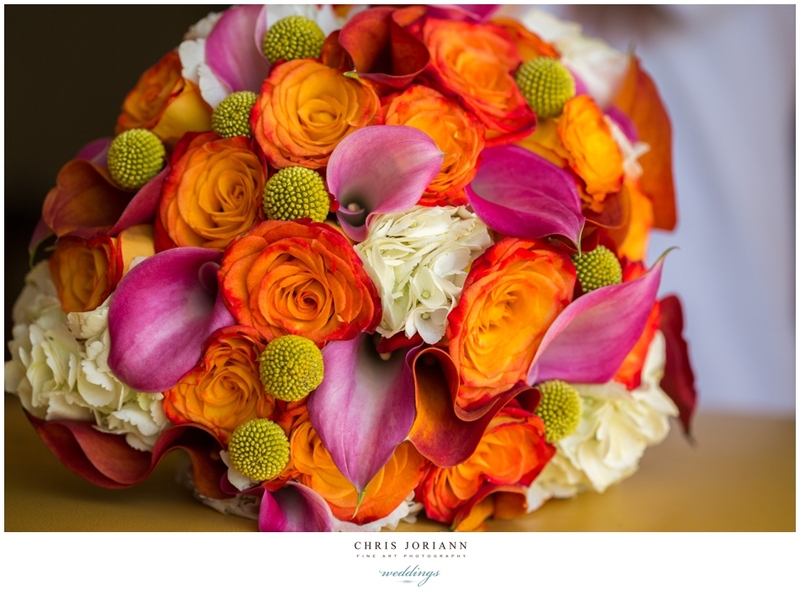 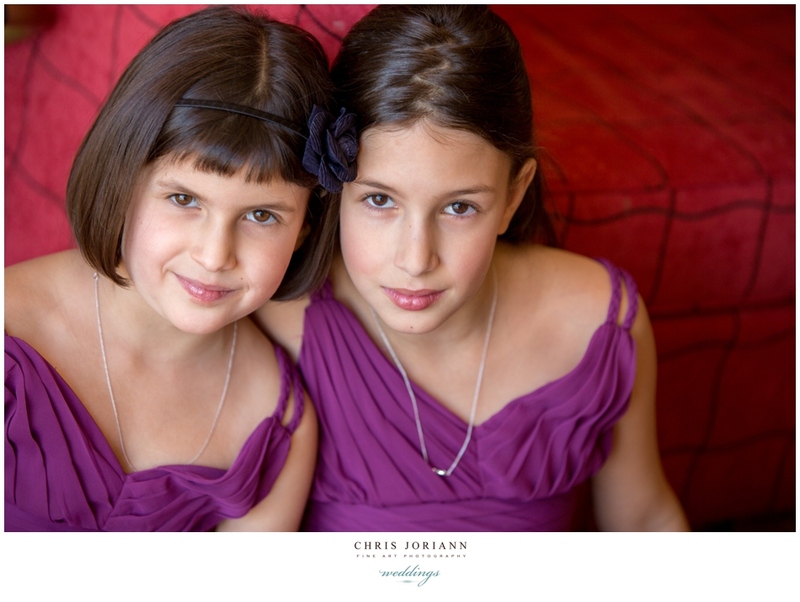 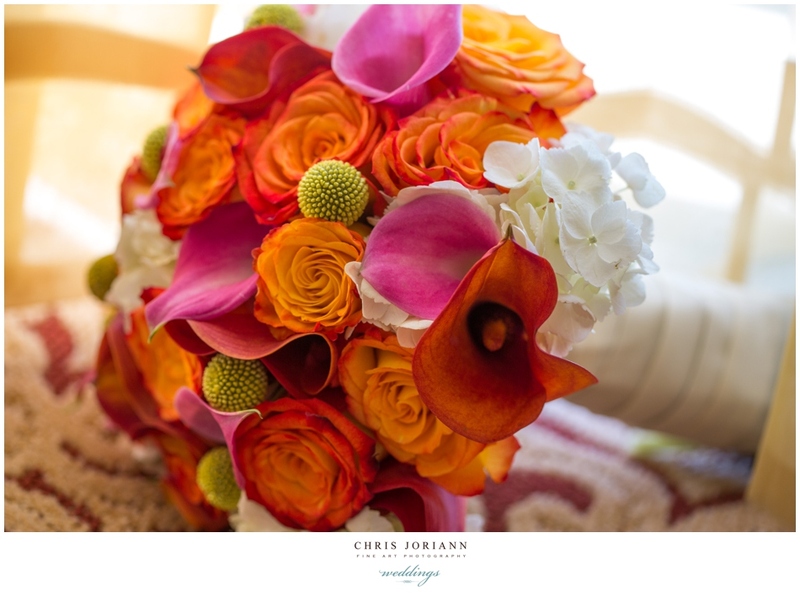 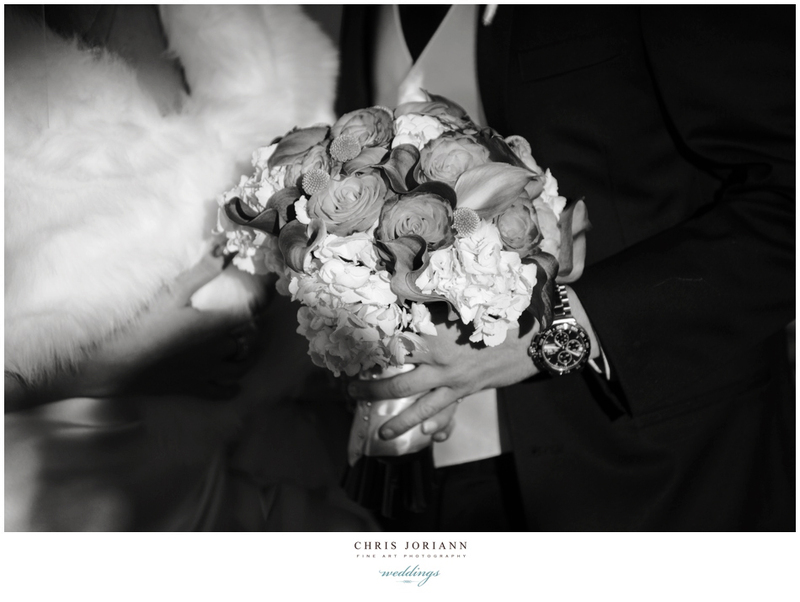 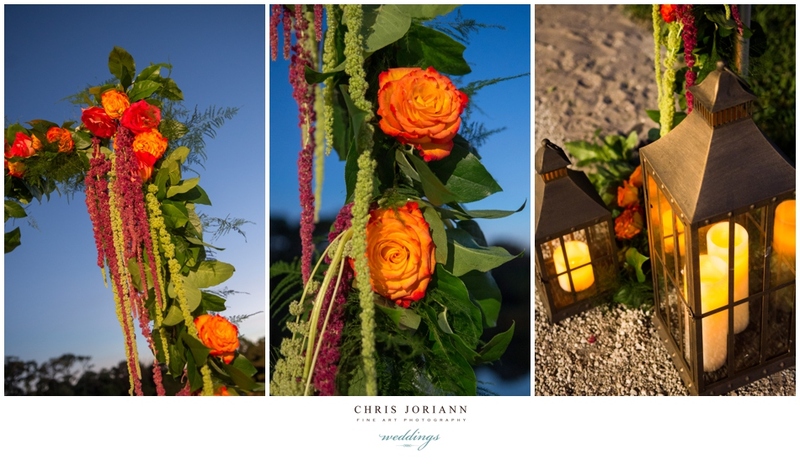 This entry was posted on March 4, 2014 by chrisjoriann. 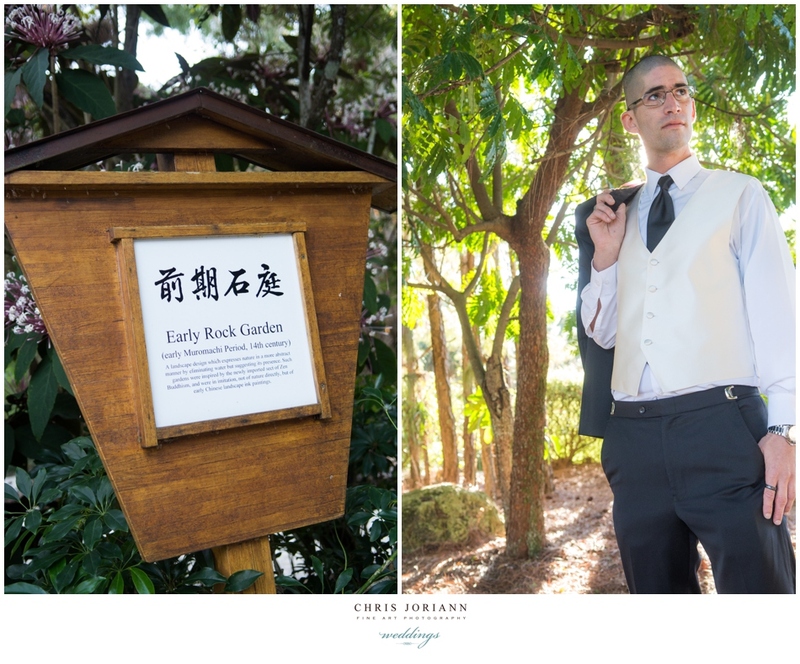 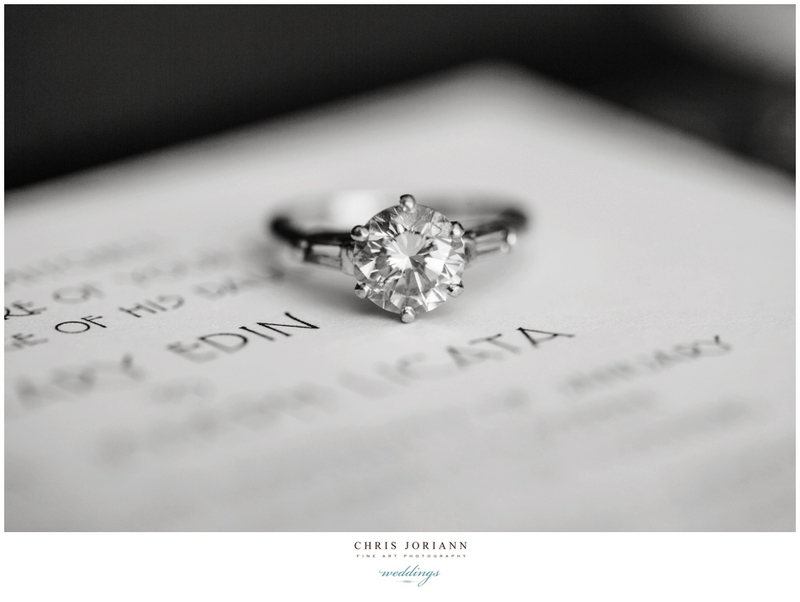 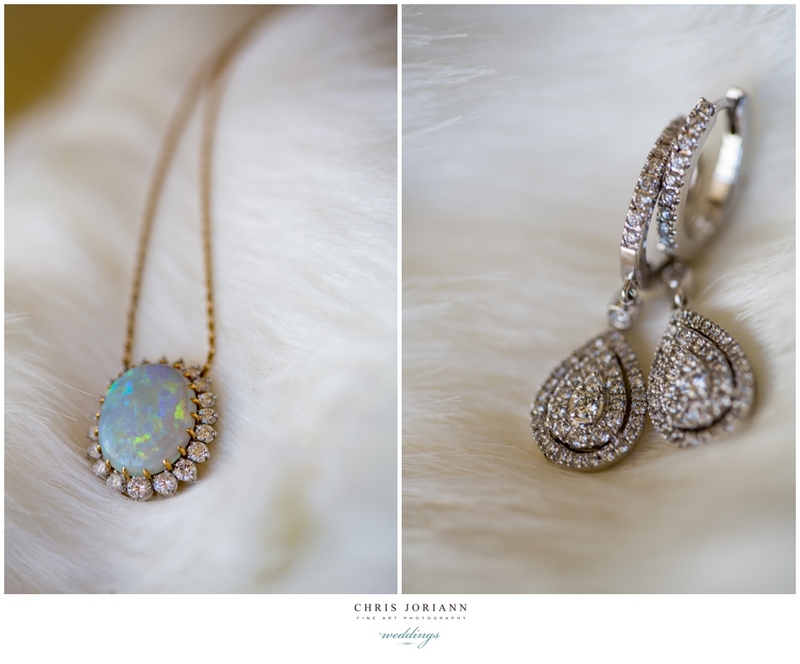 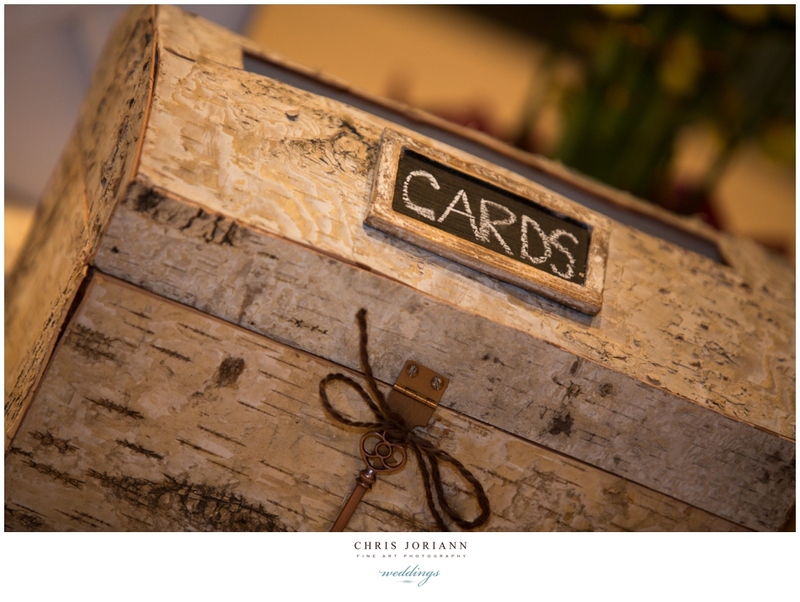 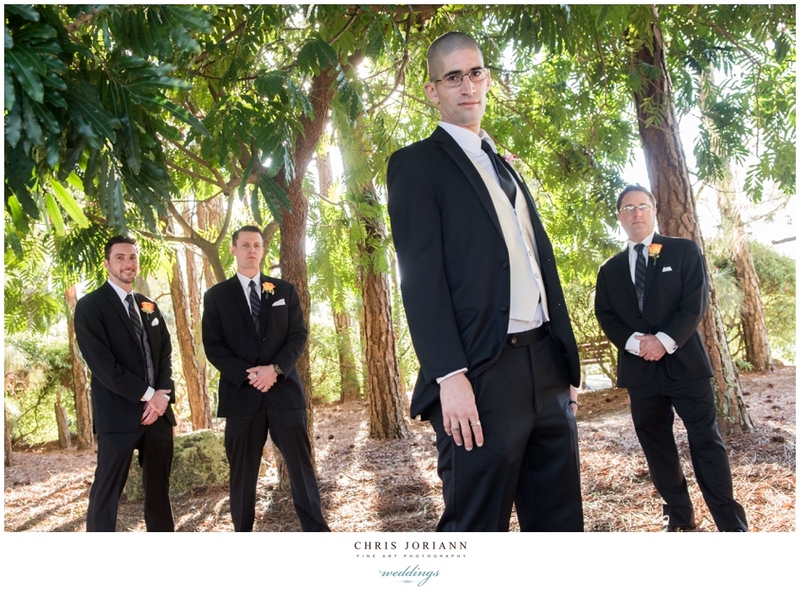 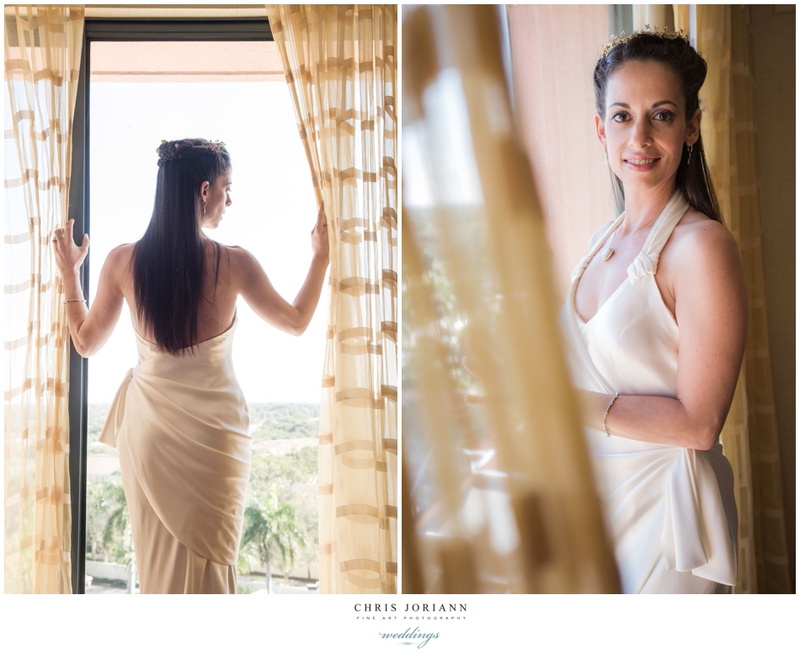 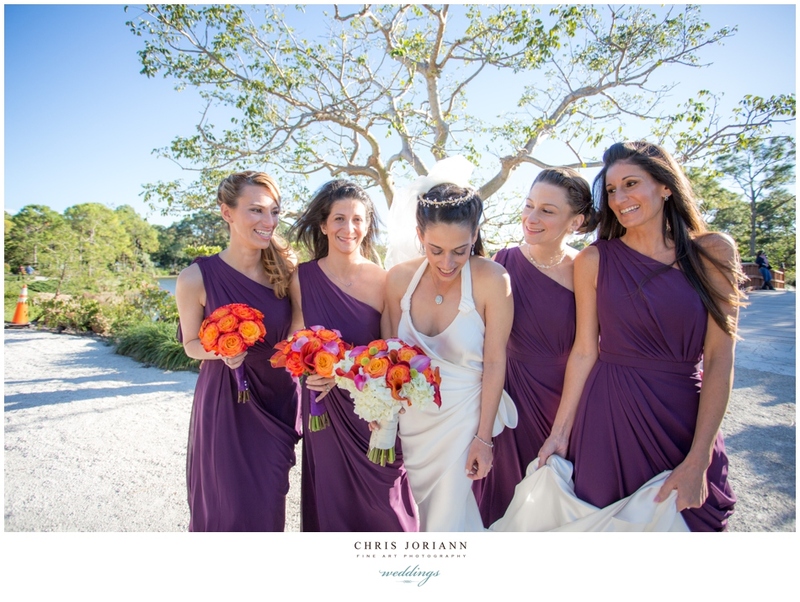 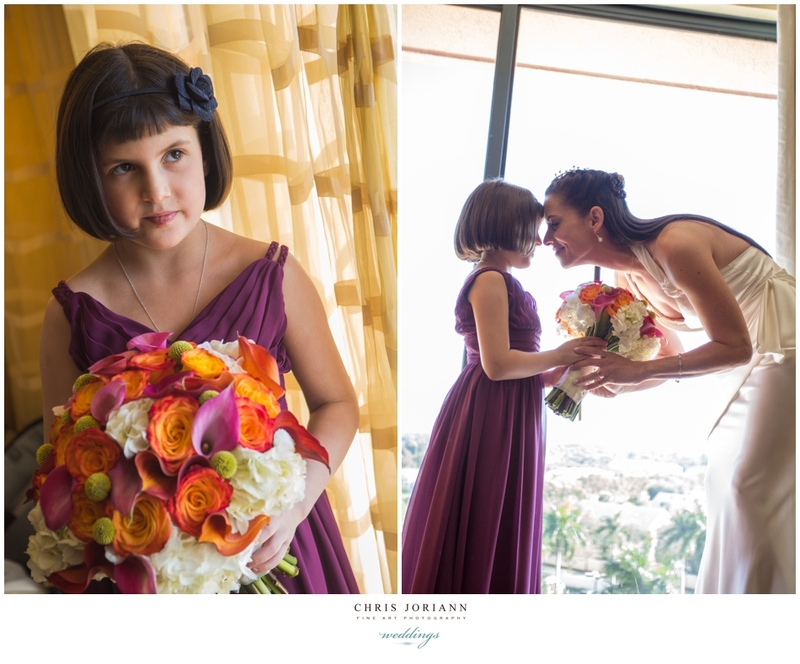 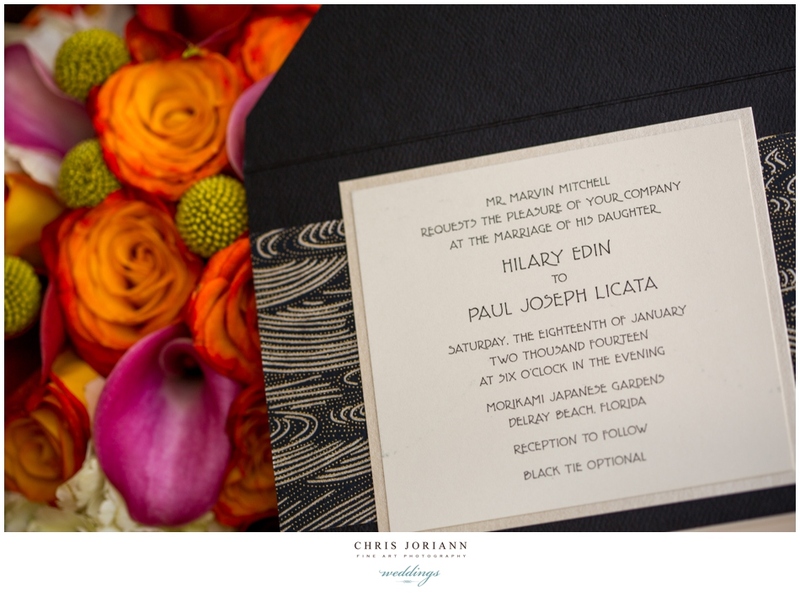 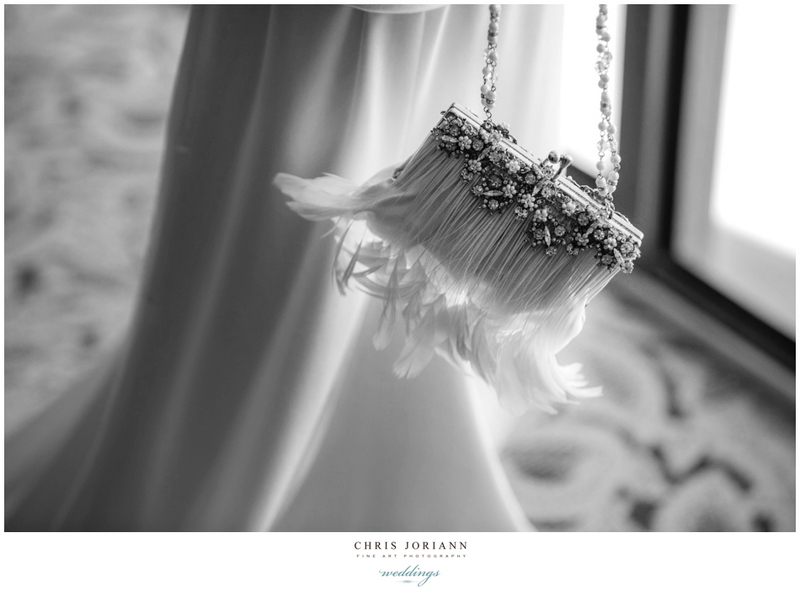 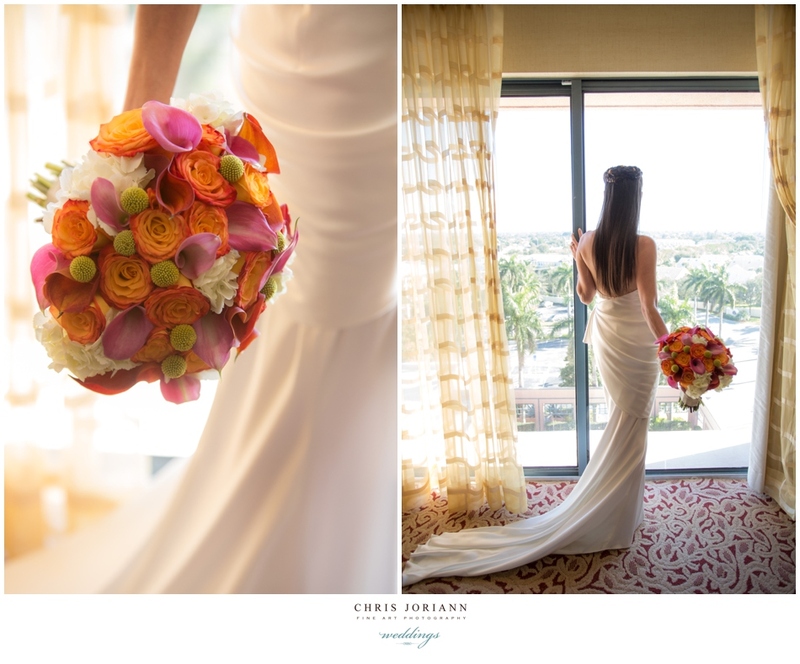 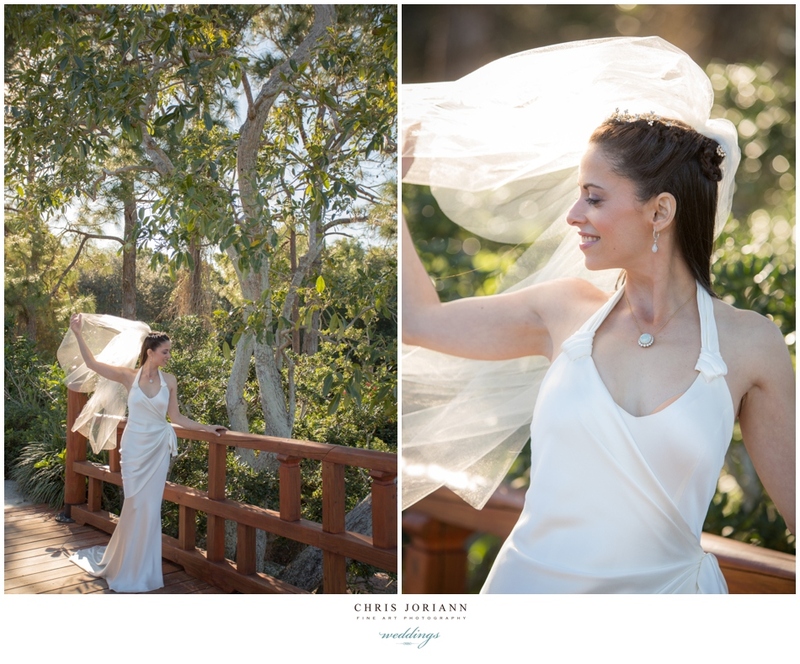 It was filed under boca raton | delray beach, fine art, haute couture, Morikami Museum & Gardens, photography, vintage inspired, weddings and was tagged with delray beach wedding, japanese, morikami, wedding, wedding photography.